The list of things to do in Iceland is endless, as this small country is famous for hundreds of mind-blowing attractions. When you start to plan your trip, it can be very confusing where to go and what to do. Which attractions to choose so as not to be disappointed? That’s why we prepared for you a handy list of TOP 50 amazing things to do in Iceland. Iceland has no equal when it comes to the number of magnificent places to visit. As it’s not a large country, they are located very close to each other. 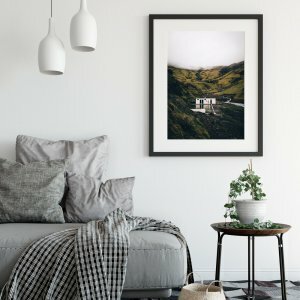 Coming to Iceland only for a short trip? You can still plan everything so that you will see quite many of these spectacular points of interest. We prepared for you a special list which includes our favourite and most magical places on the whole island. Apart from the things to see in Iceland, we added a bunch of activities which will make your trip a unique adventure. We have spent two years in Iceland so far. 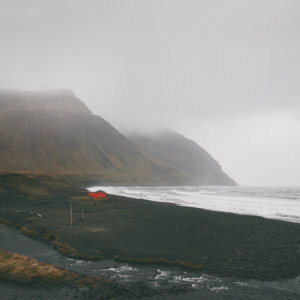 This list of the best things to do in Iceland is a result of our true fascination by the island and thousands of kilometres travelled. In contrast to many other lists which you can find online, we don’t write about places we haven’t visited or things we haven’t experienced. You can trust us! Iceland from the air is mind-blowing! Paragliding is definitely among top Iceland activities. Many people recognize Iceland as the most beautiful country in the world. The island is famous for its breathtaking and varied nature. Glaciers, volcanoes, extensive lava fields, black beaches, fairytale-like valleys and picturesque mountains are all not far away from each other. As you can imagine it’s a staggering mix, even from the ground level. And from above? Well, it’s a completely different story. Especially if you choose the most natural way of flying – paragliding. 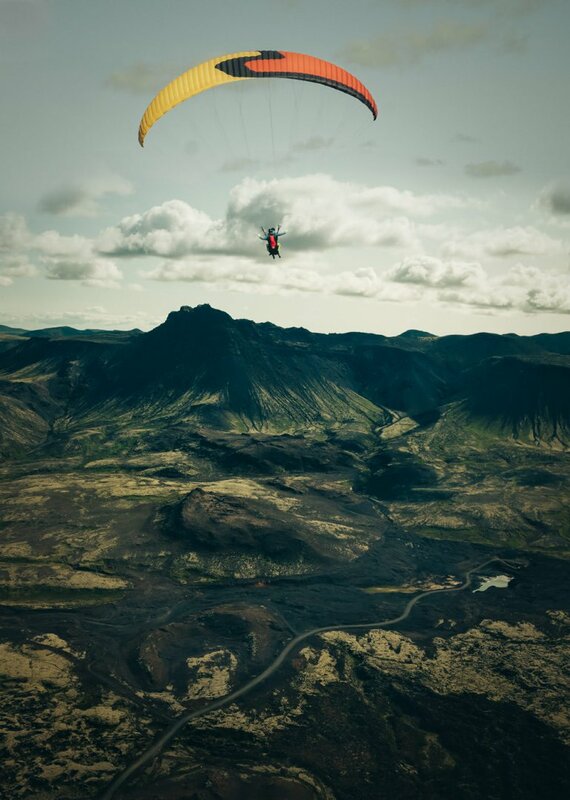 Paragliding in Iceland will give you an unimaginable burst of adrenaline. Apart from the fun of flying, it can certainly satisfy the greatest connoisseur of enchanting views. You will have an opportunity to see an area which looks like another planet. The great thing is that your paragliding adventure can be organized even when you come to Iceland just for a short visit. We had the opportunity to experience such heavenly views just 20 min drive from Reykjavik. All around lava fields, mountains, ocean, Reykjavik’s panorama, serpentines of roads and as if it wasn’t enough a volcano with a rather threatening name – Thrihnukagigur. In short, this is Iceland in all its glory. Our adventure was possible thanks to awesome folks from Happyworld. 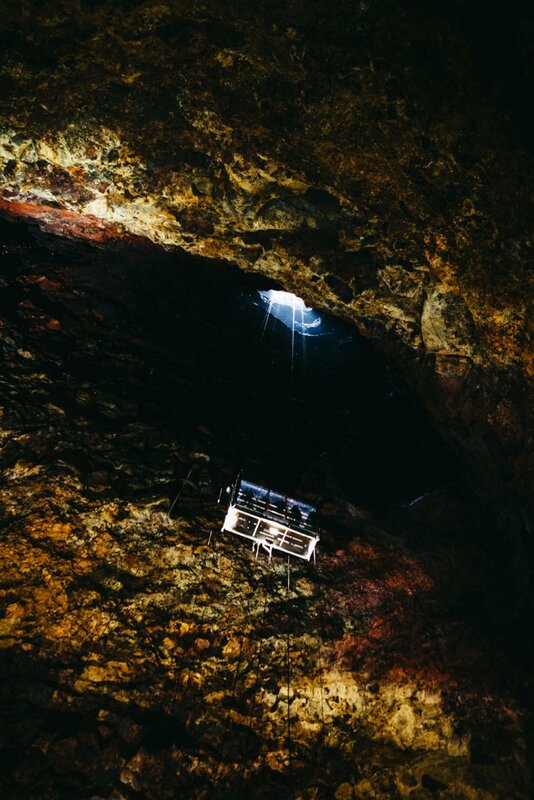 You can find real treasures underground in Iceland. Visit inside the volcano is an adventure of a lifetime! Did you know that Iceland has the only volcano in the world, where you can go inside? Thrihnukagigur volcano last time erupted 4000 years ago. Its fascinating interior was discovered in 1974 and from 2012 tourists can explore it. The volcano’s interior is a geological wonder. 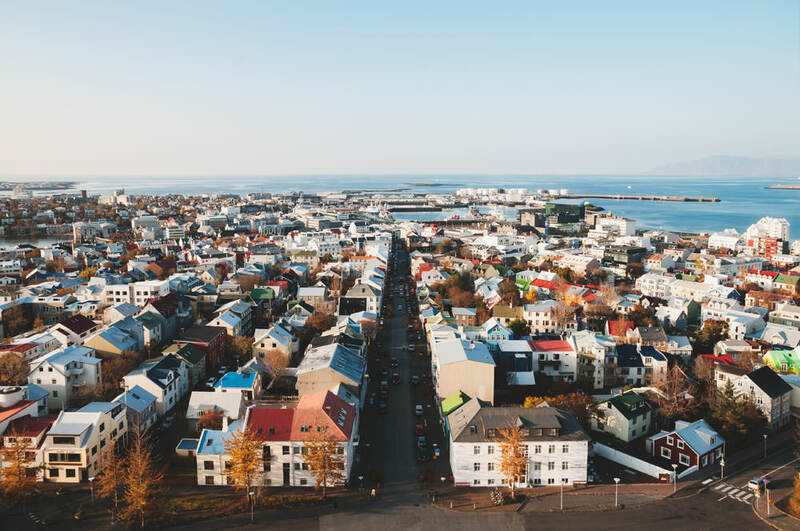 To get to the main attraction which is the magma chamber you will go down at the height of 120 m. That’s twice as high as Hallgrimskirkja, the famous church in Reykjavik. The crater is so huge that it will also easily fit the New York Statue of Liberty. In addition to the incredible experience of getting into the volcanic depths, you will be captivated by what you can see inside. We must admit that the fascinating magma chamber surpassed our biggest expectations. Thrihnukagigur’s interior is dazzling not only by its enormous size but also by its unbelievably beautiful colours and unearthly shapes. Inside the volcano, your senses literally get crazy because wherever you look, there is something extraordinary. The magical volcano’s chamber can’t be missed. That’s one of our best travel experiences ever! 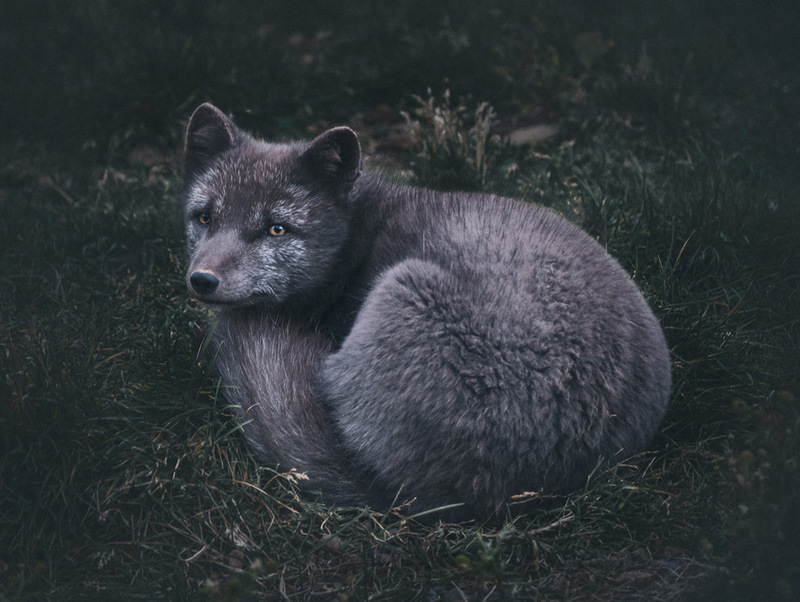 Best of Iceland: arctic fox. We met this lovely guy while travelling in the Westfjords. When you have some luck, you can meet in Iceland quite peculiar animals. They are arctic cousins of red fur guys that prowl in all European forests, namely arctic foxes. In Iceland there are two species of arctic foxes. Both of them are of similar size but they have different fur. One of them changes it’s fur from grey to white in the winter. The other one doesn’t. Regardless of their colour, we must admit that they have a very pleasing appearance. Sometimes when tourists drive through the country during mad storms, they begin to feel sorry for this cute creatures. But you don’t have to worry about foxes’ fate. 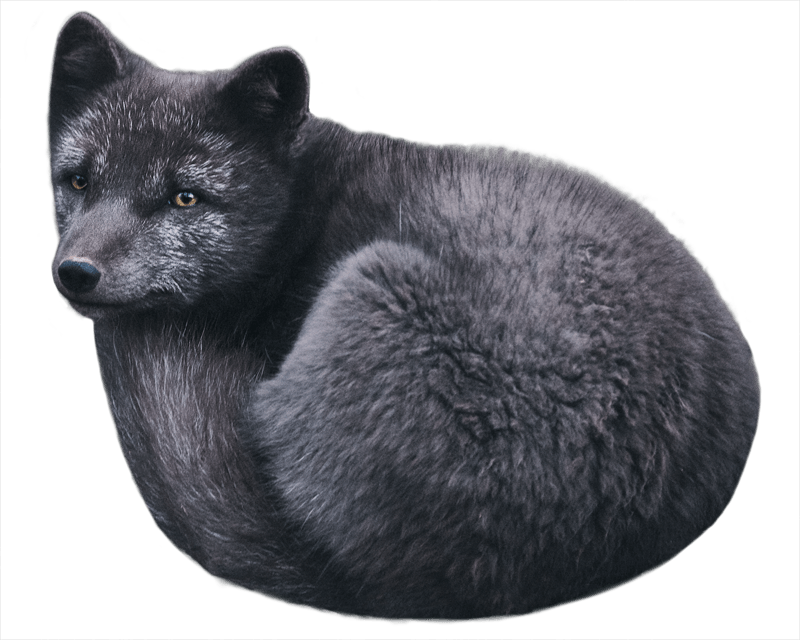 Arctic foxes for centuries have endured all really unfavourable conditions very well. Thus, in spite of the aura, their most favoured areas are the Westfjords. On this peninsula, you can find most of the foxes’ population in Iceland. We’ve had several occasions to meet them in the Westfjords as well as in other corners of the country: near Vík and in Thórsmörk. If you spot an arctic fox, sometimes you can participate in an unusual show. It turns out that they make quite strange sounds. When you plan to camp in Thórsmörk be prepared for a night or an early morning serenade. If you hear some strange sounds close to your tent, you will know that the foxes are nearby. Just listen to the serenade! 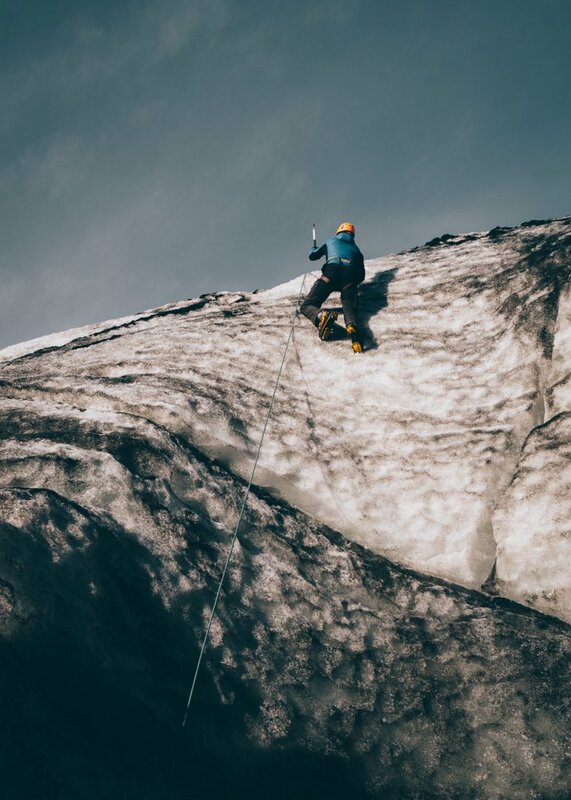 Glacier walk with ice climbing is high on the list of top things to do in Iceland. Definitely one of the best Iceland activities. We had this adventure on Solheimajökull glacier. This fascinating island is a land of glaciers and there is no exaggeration in it. Everlasting ice cover occupies nearly 11% of its surface. A trip to Iceland certainly would lack something without a face to face meeting with one of the glaciers. They are true wonders of nature which give Icelandic landscape an amazing character. Some of them are tempting your eyes with pristine white or blue. Others have an intriguing graphical pattern of black ash veins. Sometimes they appear in the ascetic company of dark rocks. In many places, their tongues border with vivid, mossy mountains. And all of them have surprisingly beautiful shapes. 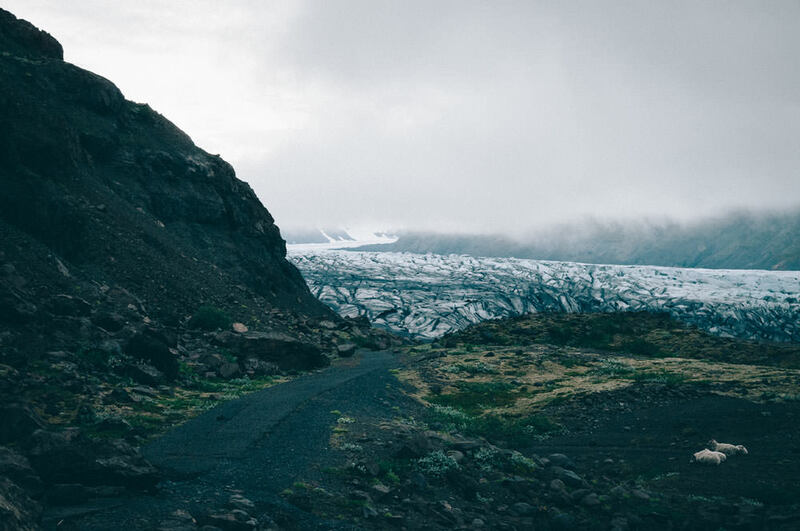 When you visit Iceland, not only can you have a look at them, but also go on a glacier hike. It is such a fantastic feeling, no wonder that the glacier hikes are so popular here. Setting your foot on the eternal ice is one of those unforgettable experiences that can give special character to the whole trip. Since walking on the glacier is a dangerous activity and requires knowledge and experience, we strongly advise you to go there with a guide. You can plan your icy trip all year round. They are organized every day in a few places on the island (of course if the weather conditions allow it). We can recommend Sólheimajökull close to Vík. Apart from hiking, we also tried our hand at ice climbing. It was extraordinary! In the east of Iceland a real surprise waits for you. Only in this part of the country, you have a chance to meet wild reindeer. They arrived in Iceland from Norway at the end of the 18th century. At that time Icelanders dreamed about breeding a large herd like the Sámi people in Lapland. Unfortunately their dream about having reindeer herds, and consequently plenty of meat and leather, didn’t come true. 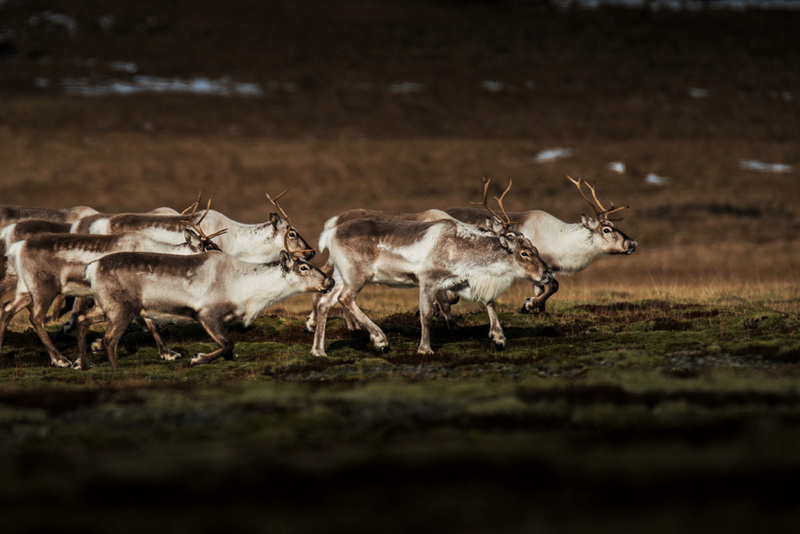 Reindeer, known in the world for their mild nature, didn’t get along with Icelanders. It all failed because reindeer were showing themselves from the worst evil side. After some time irritated Icelanders said ‘enda!’ – ‘the end!’. Unsatisfied would-be herders returned to their sheep, with which they had great relations for ages. So back to wild at heart reindeer, they simply enjoyed their freedom. To this day they happily live on the island without any human care. 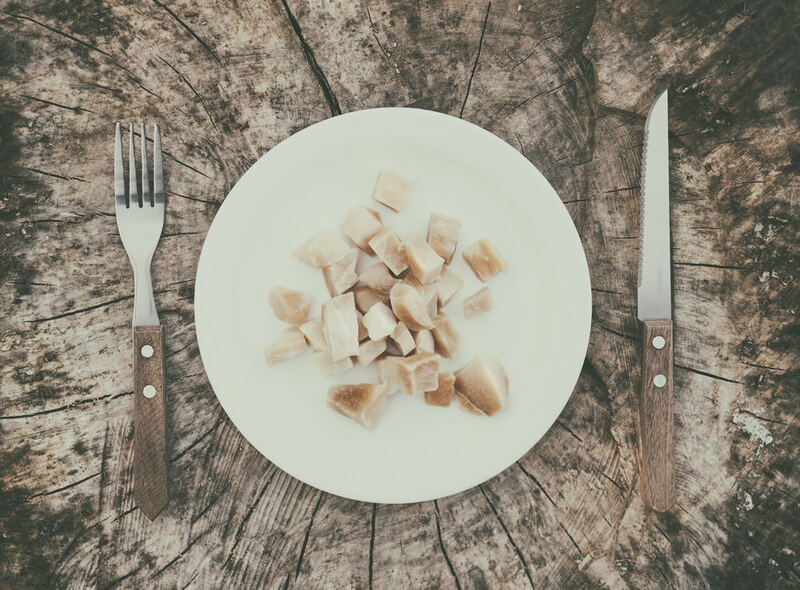 Hákarl – something for real Vikings. But between us, we’ve never tried anything worse! During your trip to Iceland you will be surprised not only by breathtaking landscapes. You may be completely dumbfounded when the time comes to try some traditional Icelandic food. Then you will find out that Icelandic cuisine apart from some delicious standard dishes has to offer some controversial treats. For sure one of them is a fermented shark called by Icelanders hákarl. Some people say that this is one of the most horrible things they have ever tasted. The explanation of hákarl’s bad reputation is a smell of the ammonia which can paralyze more sensitive folks. That’s all because Icelanders eat Greenlandic sharks. Their meat cannot be consumed raw due to the big amount of urea contained in them. A long time ago they invented a special fermentation process thanks to which all harmful substances escape from the shark’s meat. Hákarl is a real Viking snack! You have to give it a try, it’s a must do in Iceland. Iceland top attractions: northern lights. Here, dancing above a tiny Icelandic church, Westfjords. Northern Lights stir the imagination of almost everyone. For many people seeing the aurora is one of their life’s dreams. That’s hardly surprising, as this night spectacle literally stuns the senses. It’s impossible to take your eyes off when the show begins. Hunting for the Northern Lights is one of the best things to do in Iceland. As a matter of fact, Iceland is one of the best places in the world to admire the aurora. You can spot them here from the end of August until mid-April. It’s best to go for Northern Lights hunting somewhere where it’s completely dark. That means you have to leave your hotel, town or village. Strong artificial lights would spoil the show. Before heading off, remember to check the aurora forecast. Of course, you can go for the hunt on your own, but sometimes it can be quite stressful. New country, difficult driving conditions, no clue where to go for the highest possibility of seeing the Northern Lights. If you are looking for a guide, then great Northern Lights tours are organized by Iceland Premium Tours. You can book the tour on our website – here. By doing so, you are helping us to run this blog, as we get a small commission. Sunbathing in Iceland – sounds strange, right? You might be surprised, but Icelandic beaches are among the best ones in the world. 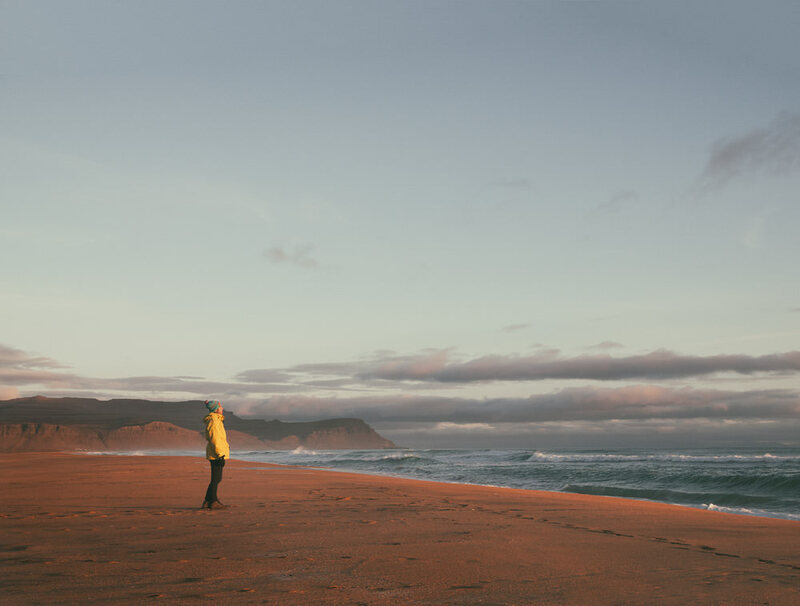 If you’ve ever wondered what to do in Iceland, check out the beaches. We have to admit that probably you won’t get a beautiful tan, but your visit to the beach will be something special, something to remember. There are many black sand beaches in Iceland. 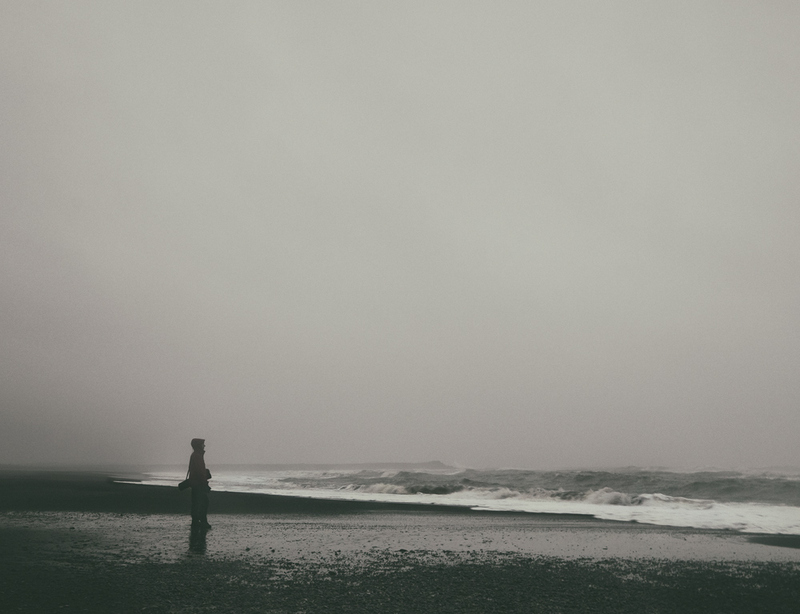 We recommend to go for a walk on Reynisfjara, a devil-black beach near Vik. Especially in bad weather, the aura is very mysterious. Apart from lots of black sand you can also find there amazing rock formations. You will be amazed by Hálsanefshellir cave and huge basalt columns which you can find right next to the entrance to the beach. The basalt columns form a cliff called Gardar. If you come here in the summer, you can spot dozens of puffins flying just over your head next to Gardar. It’s their summer residence. Dakota plane wreck hypnotises, that’s for sure. This place has something so intriguing that it attracts more and more tourists every year. A few years ago only a handful of people arrived there but nowadays almost every tourist who visits this country is crazy about the wreck of the Dakota plane. 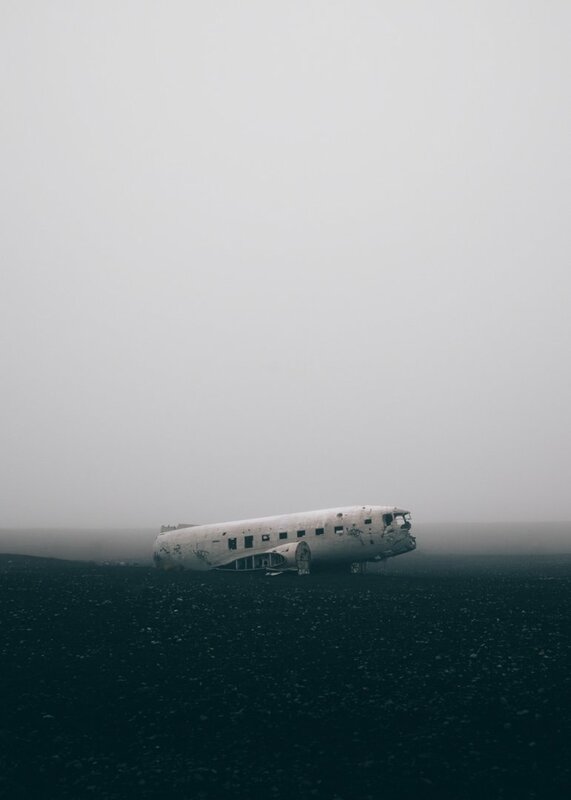 You can find the plane wreck in South Iceland near the town called Vík. The starting point is not marked so you must keep your eyes wide open while driving. You should look for a large parking lot with lots of cars right next to the Ring Road. After a 40-minute walk through the black sands almost completely free from vegetation you will reach the star of this terrain, the famous plane. The plane itself and the area around are full of some uncanny atmosphere. When we got there, we knew at once why it has so many enthusiasts. That’s one of the best places to visit in Iceland. Mountain serpentines, and beautiful emptiness around. That’s really what Westfjords are about. If you are in the mood to get to the end of the world, you should definitely go to the Westfjords. It is the peninsula in the north-west of the island. In our opinion, it is one of the most beautiful regions in the whole country. 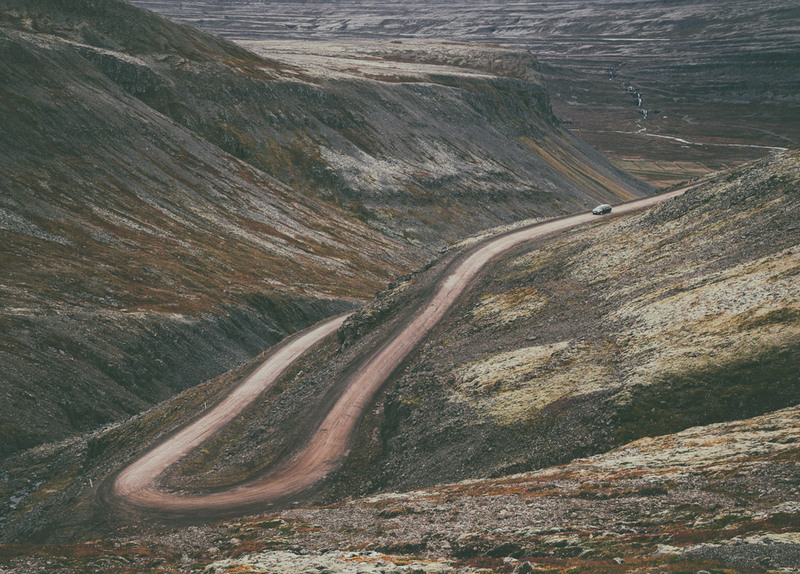 Westfjords are located far away from the main road which surrounds the island, the so-called Ring Road. As a result, fewer tourists visit this place. Moreover, there are very few Icelanders who live on the peninsula. If you love empty roads, it’s definitely something for you. Definitely it is worth to escape for some time from the main tourist route not only to leave the crowds behind. In the Westfjords the scenery is jaw-dropping. It is a pure feast for the eyes: picturesque valleys, mysterious mountains, abysses which will speed up your heartbeat and a great number of hot springs. Without a doubt, that’s a real Icelandic paradise. For us, Westfjords belong to the best places in Iceland without any doubts. You can find real hidden gems in Iceland. That’s a real treat for all those who love abandoned places. Do abandoned places make your heartbeat rise? Then we have something for you! Iceland is a country of many faces. Apart from marvellous landscapes and fairy-tale like hideouts, you can stumble upon places with a spooky reputation. There are lots of abandoned farms on the island. Icelanders call them eyðibýli. To get to them you don’t have to look hard. Some of them stand right by the Ring Road, to get to the others you just have to take some side roads. If you are drawn to mysterious and picturesque ruins, you will love Iceland. 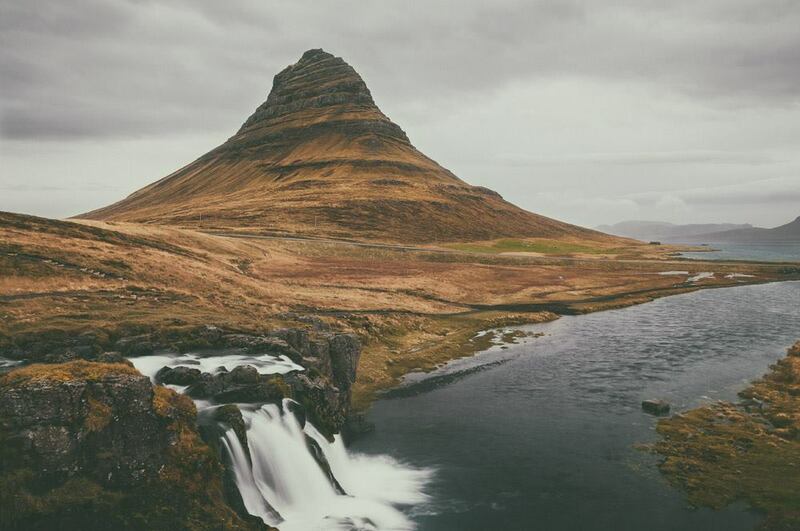 Iceland is a paradise for everyone who is fascinated by ‘Lord of the Rings’. Thorsmork looks like taken from Tolkien’s world. Behind the name Thorsmork (Þórsmörk) stands a picturesque valley and majestic mountain range named after the god Thor (Þór). It’s really easy to get crazy about this place. 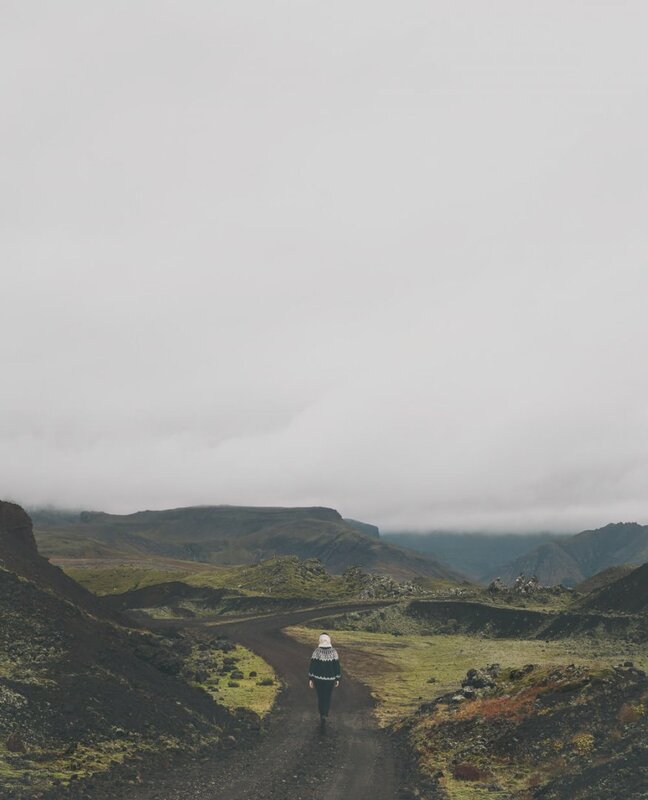 Among many beautiful places to visit in Iceland, Thorsmork is one of our favourites. It is the heart of Iceland and there’s just everything what this island is about. Lush green dramatic mountains coexist with eternal ice – two glaciers Eyjafjallajökull and Myrdalsjökull. Glacial rivers meander here and there, steep canyons wait to be discovered. It is magic, pure magic! There is no other way to name this unreal and bizarrely shaped terrain. We especially recommend hiking trails which start by the Básar campsite. They are the most scenic ones. As it is always in the mountains, to experience the best views, you have to walk up for some time. And to be honest there is a lot of going up in Thorsmork, and it sometimes can be quite steep. It means that it’s best to exercise a little before coming here. There is no way to describe what awaits all travellers at the top. 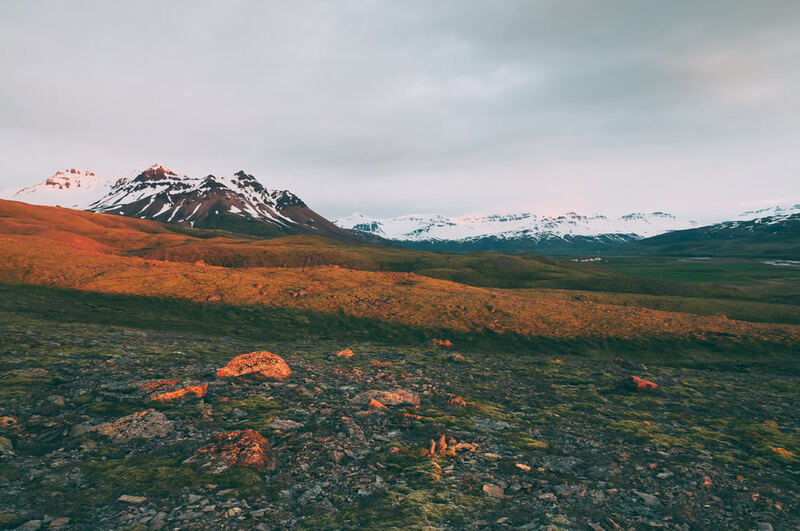 If you are an avid hiker, the best option to experience the marvels of Thorsmork is a 25 km hike from Skogar to Thorsmork. In our opinion, it’s one of the best hikes in the world. And we’ve been hiking here and there. 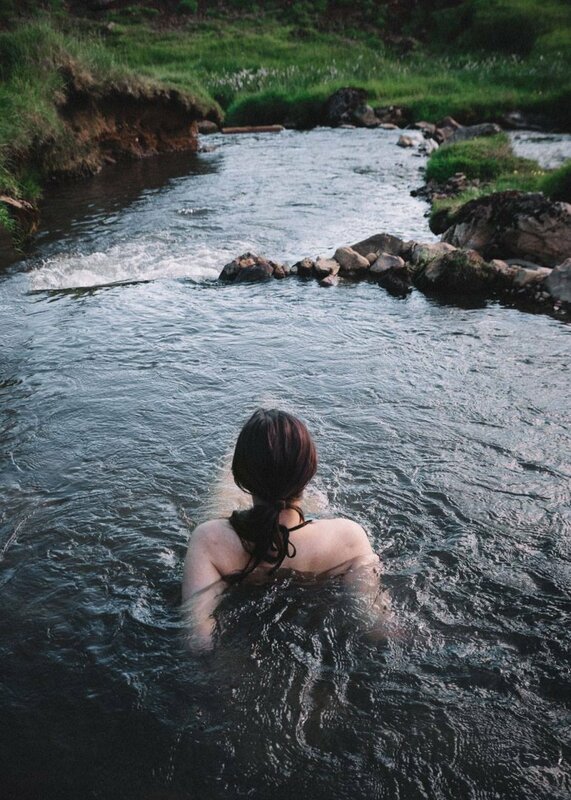 After a day spent hiking in the mountains, relaxing in the hot river sounds so good. Hot river? Sounds unbelievable but such attractions are waiting for you in Iceland. 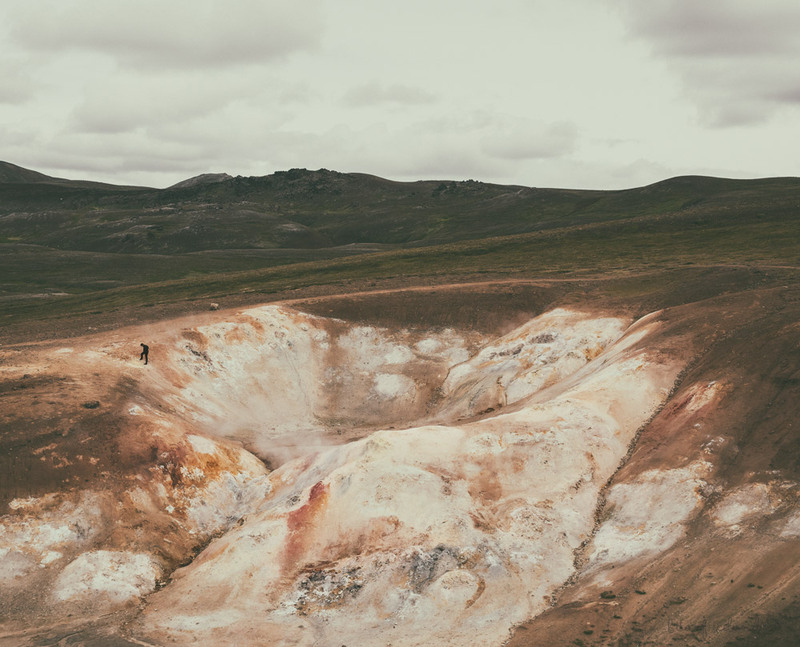 To take a one-of-a-kind bath, just visit hot springs called Reykjadalur. They are located very close to Reykjavik, just an hour drive from the capital. Before you jump into the pleasantly warm river, there is a one hour hike waiting for you. It is a really fun because the trail leads through charming mountains that sparkle with beautiful shades. It’s a geothermal area, so you’ll have a chance to see how dense steam is coming from underground. 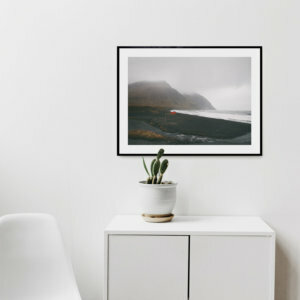 Reykjadalur is a very popular place but you do not have to worry that there will be no space for you. We visited the hot river at the peak of the season. Although there was a crowd, we had no problem to find some secluded corner of the river only for ourselves. Relaxing in Reykjadalur hot river is one of the best things to do in Iceland. Jokulsarlon glacier lagoon – icebergs at one’s fingertips. We’ve been fascinated by the arctic areas since our childhood. 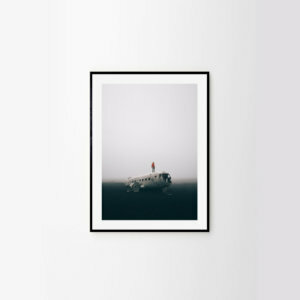 A passion for frozen ice-covered landscapes has remained in our minds to this day. They didn’t name this country ‘Ice-land’ without a reason. In some parts of the island, you can enjoy glorious landscapes which resemble Greenland or even Antarctica. 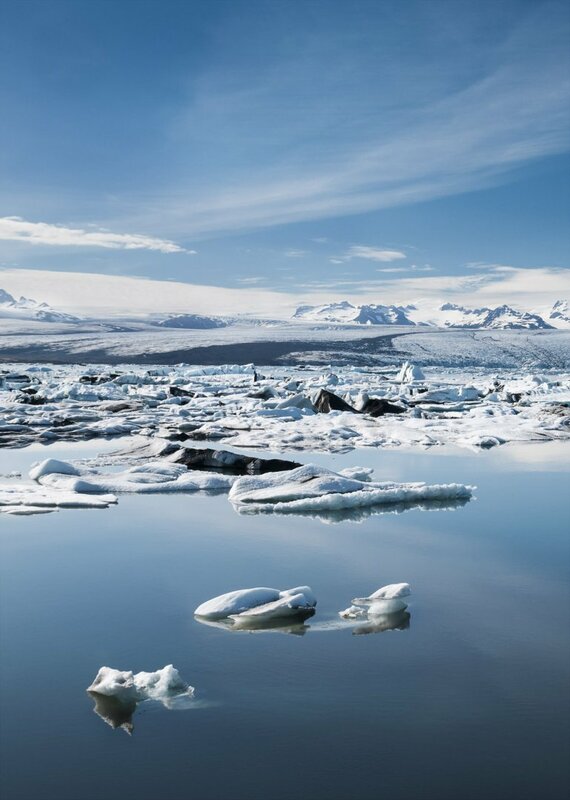 If you want to experience wonderful arctic adventure go to the lagoon called Jökulsárlón. Jökulsárlón is located in the southern part of the country. It draws the attention of everyone who only appears in its neighbourhood. You can see it from the main road. It’s one of these dreamy places which you don’t want to leave. Travellers agree that it’s one the best Iceland destinations. The lagoon hypnotizes with a view of a majestic glacier and numerous icebergs of different sizes and shapes. It never looks the same. During your stroll on the shore, look for seals in the water. They love to play between the icebergs. Iceland is really another planet! For sure you’ve heard about all these fascinating Icelandic areas with a strong Earth activity. No wonder that many people are visiting this country only for this reason, to see geothermal regions. 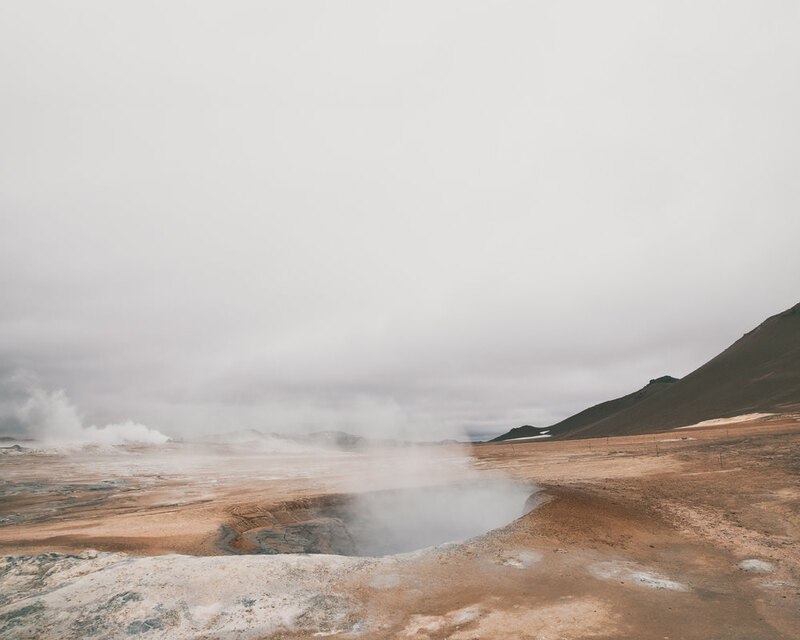 There are many unusual places of interest in Iceland, but geothermal regions are out of this world. 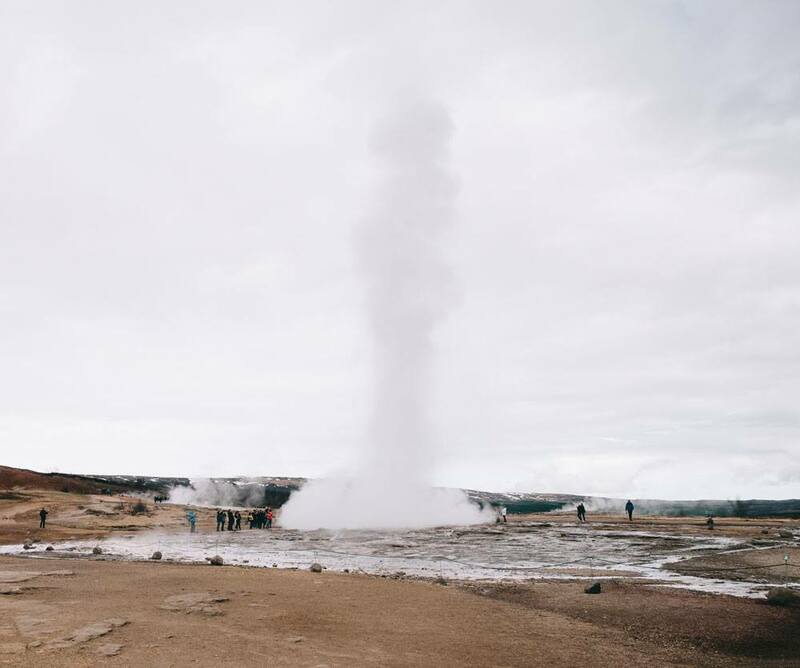 Definitely, such places are one of the biggest Iceland attractions, and in the North, close to Mývatn lake, you can find two fabulous geothermal areas – Hverir and Krafla. We’ve never spent a night in a more original place. 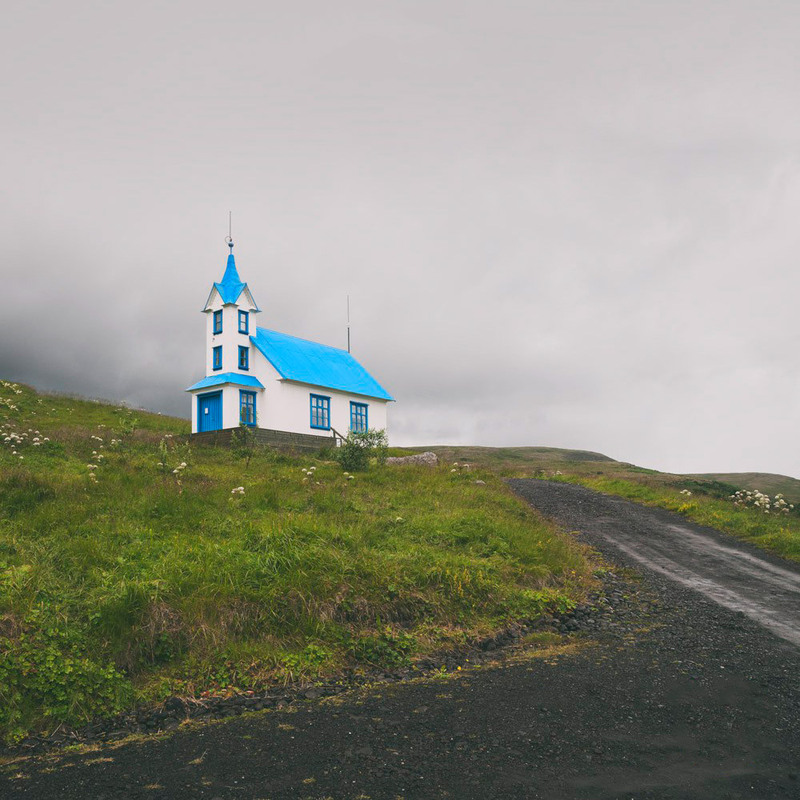 When you travel around Iceland, you can notice plenty of lovely little churches. One of them is really unique, as you can stay there overnight. If you love one of a kind accommodation, then it’s definitely something for you. The church is called Kirkjubær and it’s located in Stöðvarfjörður in East Iceland. This charming whitewashed church with cornflower blue accents went through a serious metamorphose. Now it functions as a hostel. There is still a lot of sacral equipment inside, like the altar for example. Apart from that, there is everything you need for a cosy stay – beds, a kitchen, a bathroom. The church’s interior with a blue ceiling makes you feel calm and relaxed. And if you add to all of this a beautiful view over a marvellous fjord, then what more can one need? It’s difficult to find more unique accommodation on the whole island. For us, it’s the most original place we’ve ever stayed and one of the most interesting things to see in Iceland. Best of Iceland: Látrabjarg cliffs. They are enormous – the highest ones have over 400 m.
If you made a great decision and decided to visit the magical Westfjords, you really have to go to a place called Látrabjarg. You can find there spectacular cliffs, one of the highest in Europe – some of them have more than 400 m. Apart from that, Látrabjarg is the westernmost point in Europe. And if that wasn’t enough, it is the largest European bird breeding spot. In the summer you can spot there lots of puffins and other interesting birds. In addition to these honourable titles, Látrabjarg is also famous for its great beauty. A hiking trail leads along the exciting cliffs’ edge. If you decide to walk along it, be sure that it will be a memorable stroll which can give you a high dose of adrenaline. Bread baked underground sounds so unique. And it’s so tasty! Icelanders love to take advantage of what nature offers them. They wouldn’t be themselves if they didn’t use their geothermal areas in a creative way. Once they decided to create a bakery out of this world – they began to bake bread underground, where the temperature reaches 100 °C. This special bread is called rúgbrauð and it is baked for around 24 hours. Foreigners call it volcano bread o geyser bread. You don’t have to be afraid to try this delicacy. It’s not the shark or other questionable Icelandic treats. On the contrary, it is super yummy, a bit damp, a bit sweet and for sure one of a kind. In many places, it is served with a solid portion of creamy Icelandic butter and a piece of smoked fish, arctic char. Icelanders have their favourite version of geothermal sandwiches. They love to eat it with butter, a few pieces of herring and with a hardboiled egg. 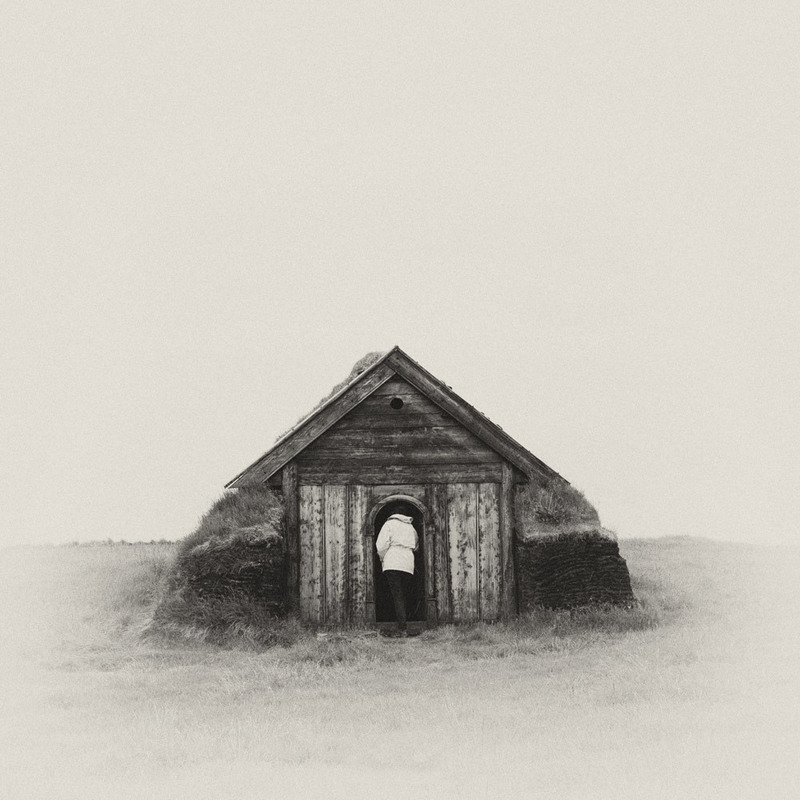 You have to know that not every rúgbrauð is baked underground. You can’t buy the real volcano bread in the supermarkets. To taste the real one you should visit geothermal areas. You can get it in almost all restaurants by Mývatn lake, and also in some place in Hveragerði. In Stafafell you can taste life on the farm. Iceland is full of attractions and you can easily make a run from your vacation. Sometimes it’s not a bad idea just to slow down and relax. To have a little rest from the fabulous, mind-blowing sceneries, take in all the adventures and prepare for another dose. We recommend spending some time in the countryside. 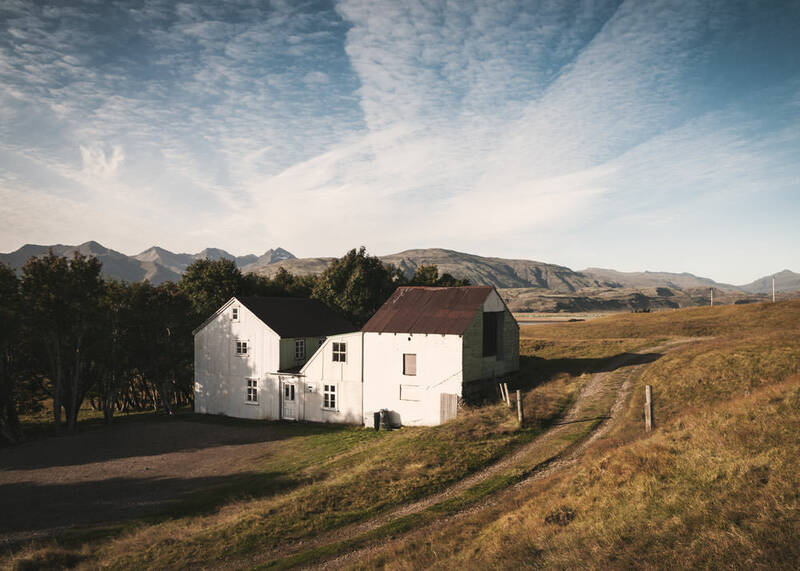 Icelandic landscape is composed not only of electrifying, spectacular landscapes but also from countless idyllic rural areas with farm fields. Farms are scattered everywhere except for the Highlands. If you have a chance, stop at some charming farm which offers accommodation and relax. 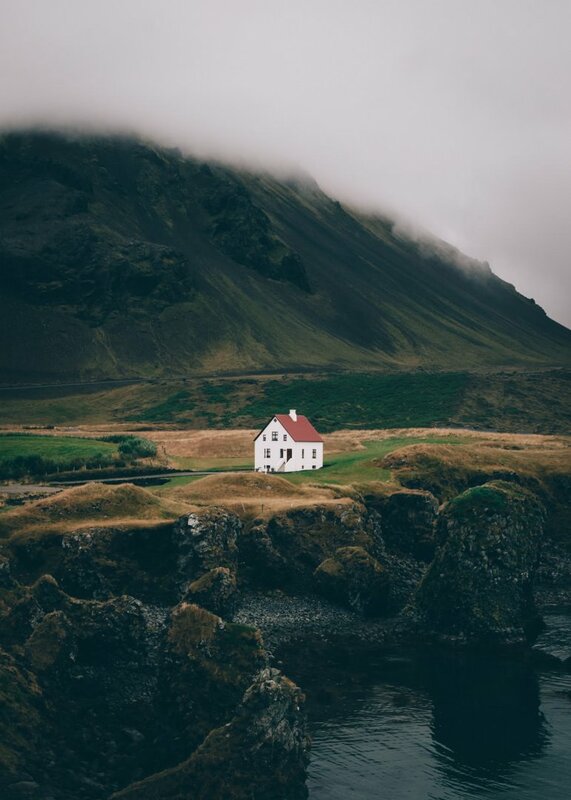 Just feel the vibe of fairy-tale Icelandic countryside. One of our favourite spots is Stafafell. An old 19th-century farm building is transformed into a hostel. There’s also a beautiful church on the farm. Right next to the hostel, a fantastic hiking trail starts. It leads to the unearthly canyon Hvannagil. So after a short break, you can immediately jump into the world of mind-blowing Icelandic landscapes. Have you ever dreamt about becoming a lighthouse keeper? You can make your dream come true here. Located in the southern part of the island, Dyrhólaey peninsula is definitely one of Iceland’s icons. It appears literally on an infinite number of postcards, calendars and similar souvenirs. It is hard not to be surprised by its fame, as here you can see one of the most exciting views in the whole country. If you wonder what to see in Iceland, don’t forget about Dyrholaey. When you are driving from Reykjavik, Dyrhólaey can be seen from afar just before Vik. The majestic peninsula reigns over the seashore. What’s characteristic about it, is its elongated shape, and a gap which looks like a gate. To reach its peak you have to take a narrow, steep road. 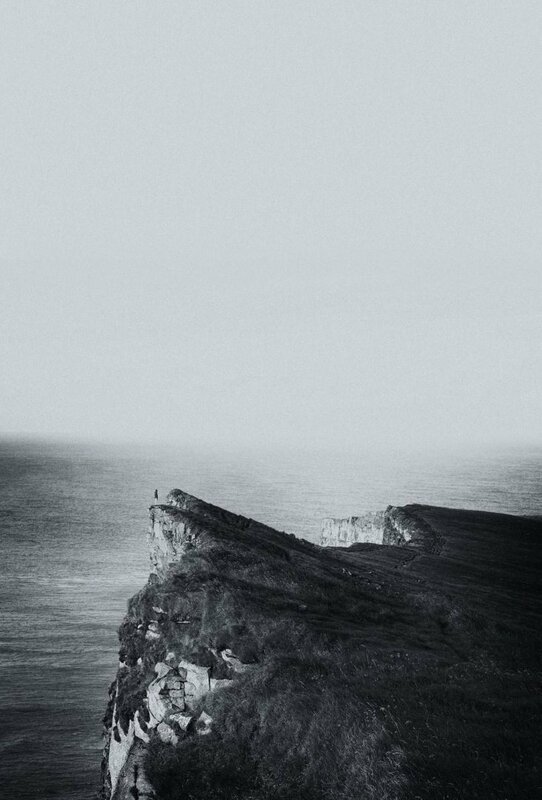 At the top, view over a wide black beach waits for you. The beach stretches as far as the eye can see and sheep love to hang around here in the summertime. The see in this area has a quite wild nature, so expect a mysterious aura. What’s more you will admire the view from a steep cliff, which is one of the best places to observe puffins in Iceland. You can see them in their natural habitat, flying around their nests. Just be careful while coming close to the edge of the cliff. 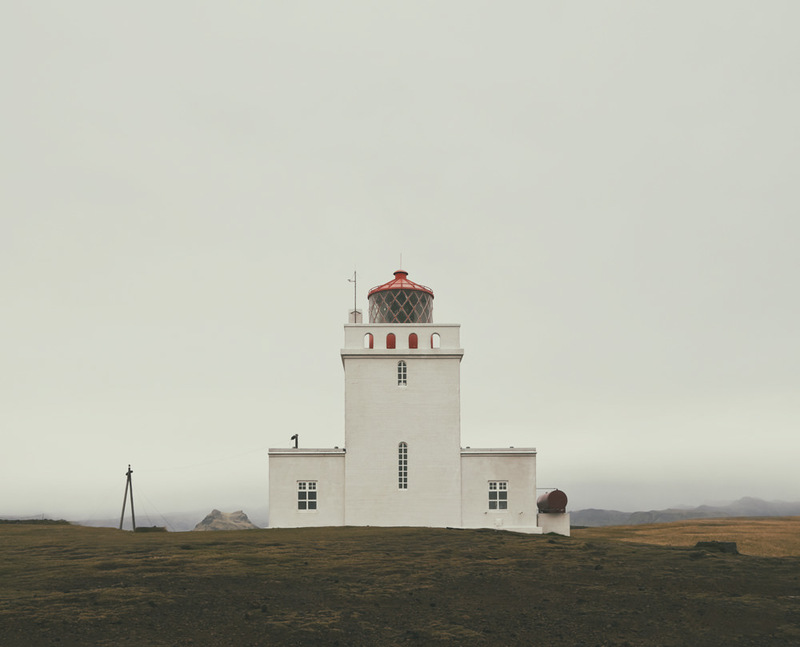 There is also another great attraction on top of Dyrhólaey – a lighthouse built in 1927. Just standing nearby, fill your lungs with the fresh sea air and try to imagine how this incredible place looked like years ago when a lighthouse keeper worked there. And now the real fun – from time to time it’s possible to stay there overnight and become a real ‘lighthouse keeper’. Dyrhólaey undoubtedly stuns the imagination! Best of Iceland: Skogafoss. It is our favourite Icelandic waterfall. Its power is intimidating. 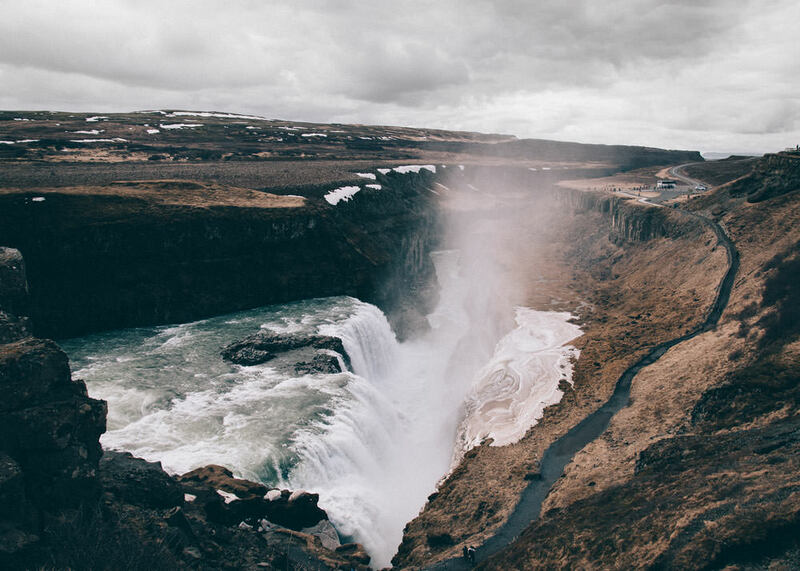 Iceland is famous for its jaw-dropping waterfalls which you can find almost around every corner. All of them, especially the big ones are marvellous but some deserve to be named the star-waterfalls. Skógafoss belongs to this elite group. Skógafoss is a waterfall located in the southern part of the country near a tiny settlement called Skógar. Even if someone tried very hard it is simply impossible not to be mad about this waterfall. A gigantic stream of water runs like crazy falling down from over sixty meters. Apart from the terrific view, there is another great thing about Skógafoss. You can experience its wild power from a very short distance. So the best part is when you stand close to it listening to the water’s sound with your face sprinkled with cold drops. You can’t miss this miracle of nature. It’s one of Iceland top sights. The waterfall magnetizes everyone’s eyes from a distance – you can see it from the main road. Skógafoss certainly will leave you speechless. It is loved not only by the visitors but also Icelanders, who often mention it as their favourite waterfall. 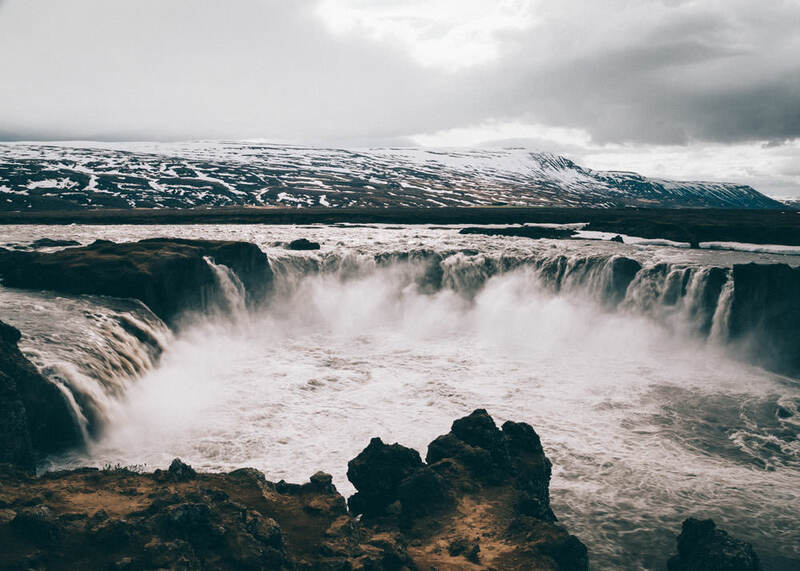 More about Skogafoss: Wild water – catch a drop of Skógafoss! Colourful mountains Landmannalaugar – one of the most breathtaking places on Earth. Hiking there is a must do in Iceland. Are you ready to visit one of the most unearthly places in the whole world? 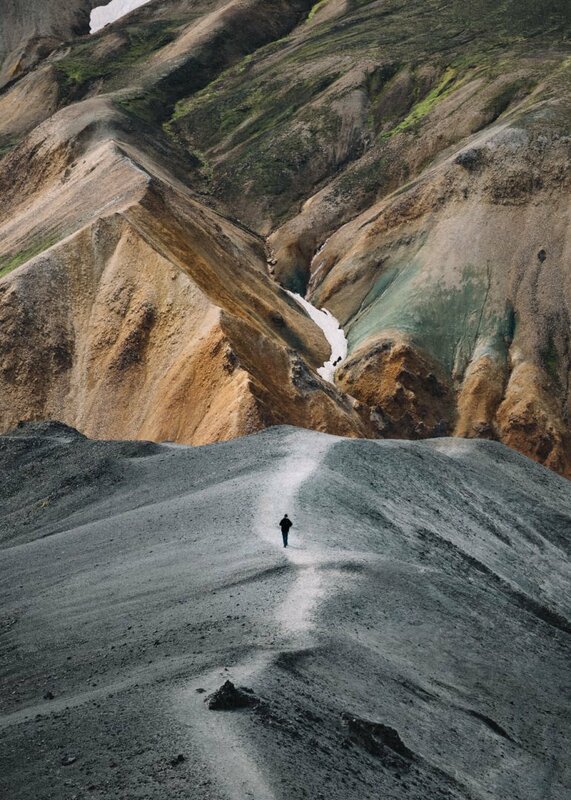 Lots of people are of the opinion that the fabulously colourful mountains named Landmannalaugar belong to this noble group. You can find these famous mountains in the Highlands region. They sparkle with such unusual colours that it is hard to believe their existence. It’s not a rumour that they are rainbow-like with pretty tones of powdered roses, light blues and bright yellows. The intensity of their colour changes with the light and time of the day. The peaks can always look a little different so we know that we will wander in this area many times. Landmannalaugar is one of the best places to see in Iceland. We recommend them not only to all hiking enthusiasts but to all those who would like to spend some time in a fairytale-like world. This place will leave you speechless! In the beginning of 20th century still many Icelanders lived in houses like this. During your trip to Iceland you can notice very peculiar houses which resemble the houses of the Hobbits from Shire. What’s interesting, in Iceland people lived in such houses for centuries. Icelanders did not have enough wood at hand so they had to look for other construction materials. They started to use stones and turf and that’s how the unusual building tradition was born. Don’t forget to find a few of these lovely turf cottages and get to know how Icelanders lived in the old days. For us it’s a swimming pool with the best location in the world. 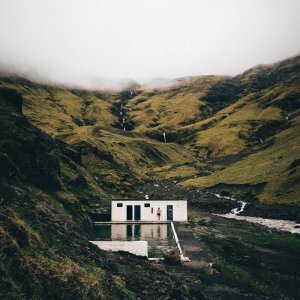 In the south of Iceland, close to the small village of Skógar you have a chance to splash in a very unusual swimming pool. Icelanders call it Seljavallalaug. The pool tempts with its unique location. Simply imagine a swimming pool in the middle of nowhere and all around you spectacular steep mountains. It’s naturally warm (30-35 °C, in the winter a little colder), the water comes from a nearby hot spring. 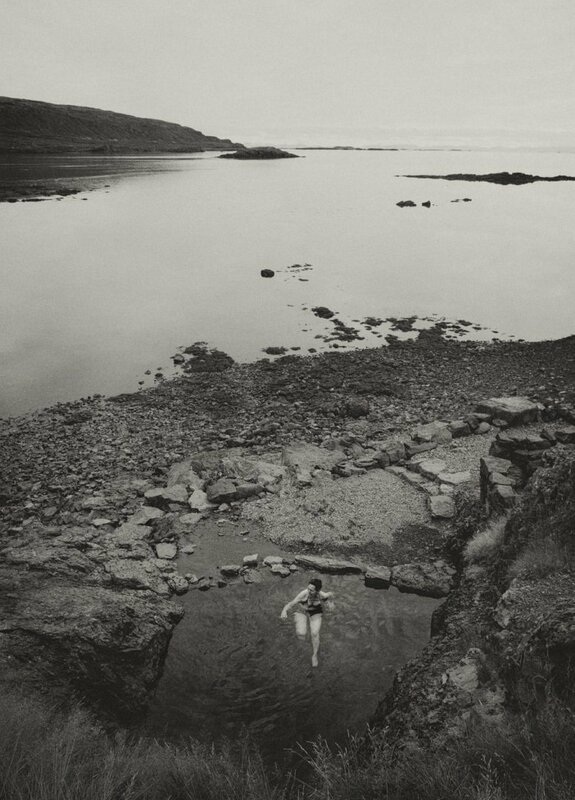 What’s more, Seljavallalaug is the oldest swimming pool in Iceland. The place is extremely popular so if you want to have some privacy, you should come here very late in the evening or early in the morning. And if you want to be there alone, then 3 a.m. should do it. Anyway, having a bath in Seljavallalaug is one of the best things to do in Iceland. It’s impossible not to smile when you see a puffin. 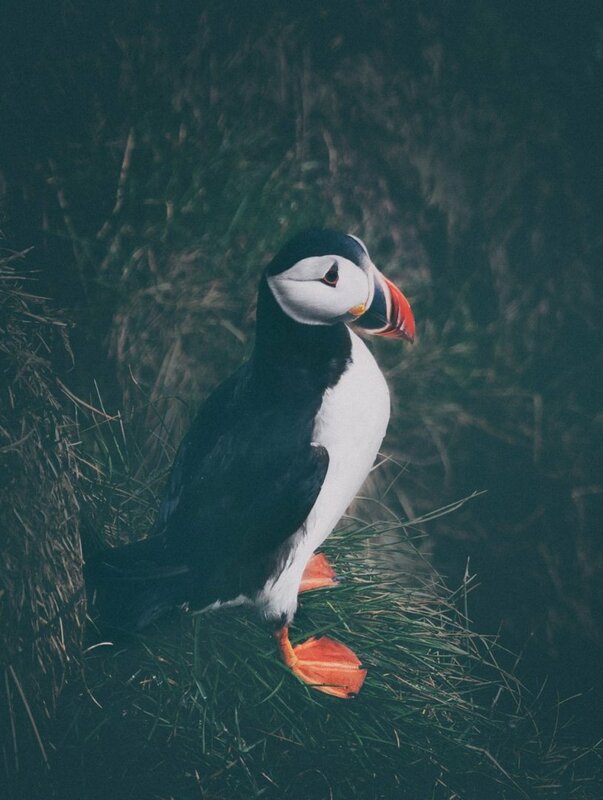 Puffins are among everyone’s favourite Iceland tourist attractions. How did it happen that everyone is crazy about a tiny bird called puffin? It’s always like this. You see a puffin’s picture somewhere on the web and you immediately start to dream about seeing it in nature. Puffins amuse people with their unusual appearance. Some say that they look a bit like penguins, or something in-between penguins and parrots. Anyway, they look so original that they have no equal. To see these amazing birds you have to visit Iceland in the summer. Just remember that they don’t fly around all the country. There are several places on the island where their colonies appear every year. In our opinion the best spots to observe puffins are Borgarfjörður Eystri, Dyrhólaey peninsula and Látrabjarg. 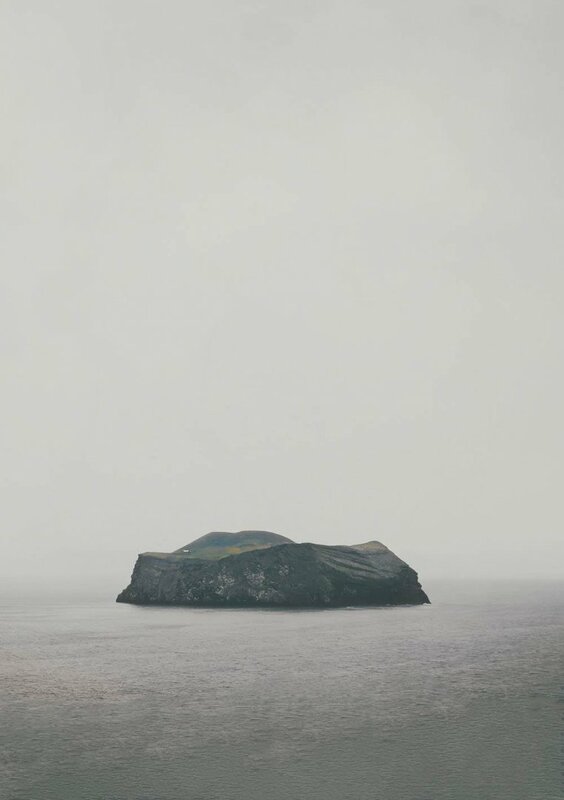 If you wonder what to do in Iceland, go to Vestmannaeyjar. You won’t be disappointed! Situated in the south of Iceland, Vestmannaeyar archipelago is famous in the whole country. It is well known not only because of its beauty. In 1973 the tranquil life’s rhythm of this place was suddenly interrupted by an unexpected incident. During one January night the volcano woke up. Oddly enough, in this location, there was no sign of the volcanic presence. The unannounced underwater explosion of Eldfell resulted in a large amount of lava flowing to the surface. The situation was very dangerous because it threatened the future of the harbour. Like you can imagine everyone was frightened but luckily after a few months of struggle the harbour was saved. Everything happened on the island of Heimaey, the only inhabited island in the archipelago. Still, it has many traces of its turbulent past. One of them is a vast, marvellous lava field. The memorable eruption also had a good side. The lava flows quite significantly increased the surface of the island. Vestmannaeyar is undoubtedly a fascinating place. You will be mesmerized by its beauty and incredible history. Dynjandi waterfall is among Iceland top attractions. If you dream about standing face to face with some spectacular waterfall without the crowds, then Dynjandi would be a great choice. As you know there is no shortage of waterfalls in Iceland. Because everyone wants to see them, sometimes it’s difficult to enjoy them in peace. Dynjandi is different. Thanks to its location in much less touristy Westfjords you are able to admire such breathtaking view even alone. Just avoid the summer season. What’s more, here you have the to see several other waterfalls. Apart from 100 m high Dynjandi, there are a few smaller but still very pretty ones. They are called Göngumannfoss, Hrísvaðsfoss, Bæjarfoss, Hundafoss, Strompgljúfrafoss and Hæstajallafoss. Sounds like a poem, doesn’t it? Best places to visit in Iceland: Arnarstapi. What a place to live! Arnarstapi certainly is not a common settlement. After all, not every village can proudly boast sitting at the foot of a volcano and among such overwhelming landscapes. A walk along Arnarstapi’s coast will provide you with a lot of excitement. Expressively ragged coastline, fantastic rock formations and of course a view over Snæfellsjökull glacier. Although the walking path is not very long, be prepared that you can spend a lot of time in this gorgeous place. Arnarstapi will also delight photographers. Literally every corner surprises with a new fascinating frame. 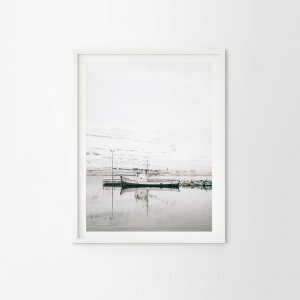 One of the best places in Iceland for all photo buffs. Skyr is a traditional Icelandic dairy product. It’s a tasty and very healthy product that can be placed between strained yoghurt and common yoghurt. Skyr was invented a long time ago by Norwegians. When they settled in Iceland in the 10th century, they started to make it on the island. Skyr soon spread all over the country. In the oldest form, it was made from raw milk, now replaced by skimmed milk. 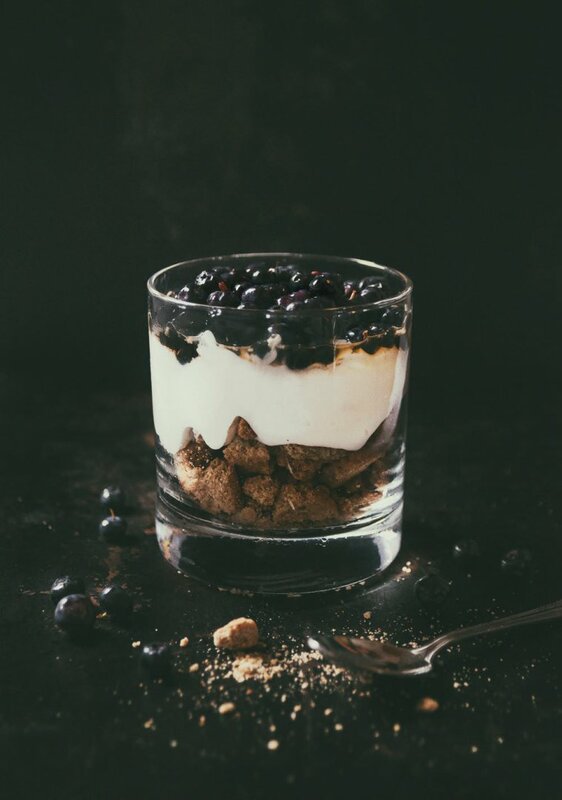 You should know that skyr is considered as an Icelandic national snack. It is loved by the entire nation. No wonder, they would rather like to forget where the recipe comes from. You will find it in all the grocery stores in many tasty flavours. It’s simply impossible to leave Iceland without trying it. Horseback riding is one of our favourite Iceland activities. 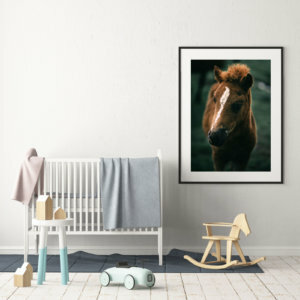 Icelanders truly love horses. 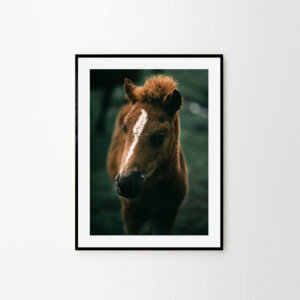 For a many of them breeding horses is a great passion. And one of the best ways to get to know the island is to see it from the horse’s back. When you gallop through the wilderness, all Iceland sights seem to look even more magical. 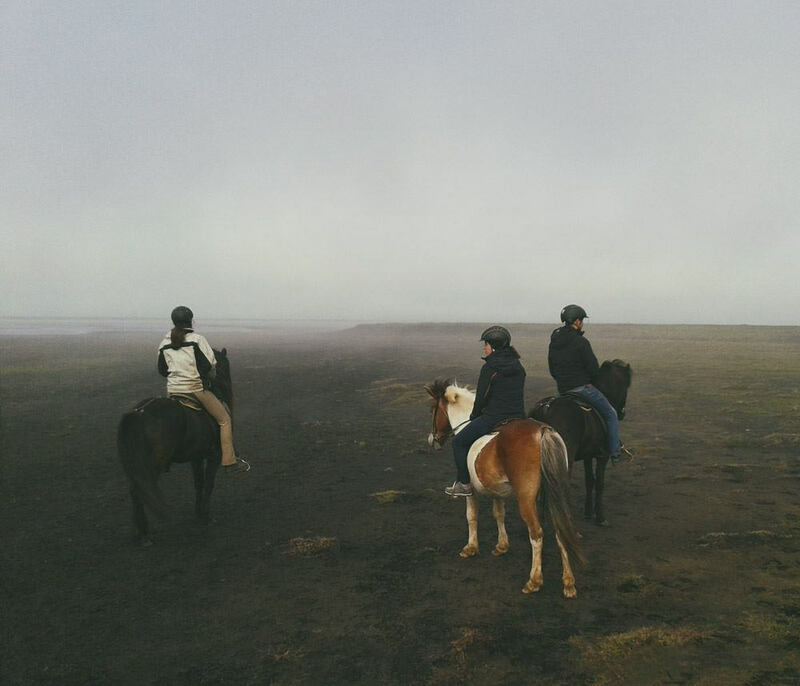 Our favourite place for horseback riding is located in East Iceland, exactly in Húsey. Here you can ride by the ocean on a wide black sand beach, where seals usually come to relax. Imagine how exciting it must be! You will have a great time there even if you have no riding experience. It was the same with us. In Húsey we got bitten by the horseback riding bug. We’ve been there twice and can’t wait to go there again. Getting behind a waterfall is among these things to do in Iceland that you definitely have to do. Have you ever wondered how intriguing the world might look from the other side of a waterfall? Believe us, extraordinary! In Iceland, you will have the opportunity to check it out. Just go south and find Seljalandsfoss waterfall. Finding it will not be difficult, especially because it is one of Iceland top sights, very big and splendid. Apart from that, you will see it from the main road. 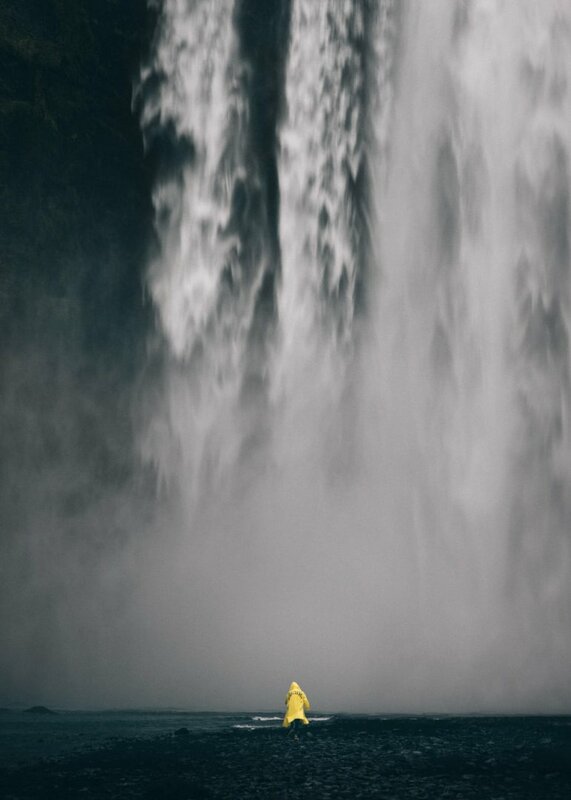 Have fun and jump behind this beautiful waterfall. A word of advice: before your leap, remember to wear a raincoat. Otherwise, you will be completely soaked. It is said that in Iceland elves and other magical creatures lurk literally everywhere. It is hard not to believe in these stories. The aura on the island really seems to be mysterious, sometimes even mystical. 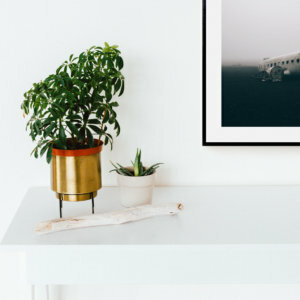 When you wander through mossy lava fields or travel through deserted valleys, it is not easy to get rid of the impression that something unusual is going on around. When you are planning to visit Iceland, it is worth to read some folktales about elves and other magical creatures. Getting accustomed to a few intriguing stories can add to your trip something special. There are some places on the island where elves’ presence is more noticeable. It is better to know where to look for them. Just don’t disturb them too much. In the north of Iceland Dettifoss waterfall is waiting for you to be discovered. If you get there, you will be able to stand face to face with the alluring power of nature. This is one of the most powerful waterfalls and certainly the loudest on our continent. Wild water falls from about 44 meters and have an average waterfall of 193 m³ per second. It can be much more because this value depends on the season and time of the day. Sometimes the waterfall makes a noise similar to a starting helicopter. Just imagine this power! Berserkjahraun – if we had to choose just one lava field to go, it would be this one. There are lots of vast lava fields covered with moss in Iceland. Thousands of downy mounds stretch to the horizon. It is one of the mind-blowing views which you will remember for the rest of your life. If you dream of seeing this fairytale-like scenery, there is plenty to choose from. We have our favourite lava fields. 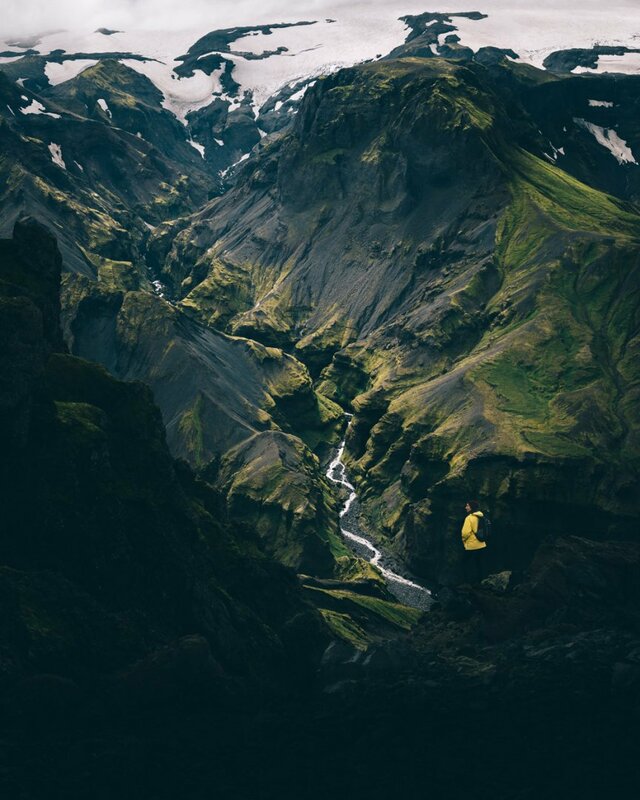 Berserkjahraun located on the Snaefellsnes peninsula and Eldhraun near Kirkjubaejarklaustur (southern Iceland) won’t disappoint you. When we talk about mossy lava fields it cannot go without tactile impressions. Once you go for a dreamy stroll through the fascinating lava areas (remember to always stay on the paths) stop for a while and close your eyes. Now just put your hands on the moss – a bright smile guaranteed. What an extraordinary feeling! Icelandic fluffy moss is one of a kind. Of course, remember to treat it with a great caution. Moss is very gentle and vulnerable. It takes more than one hundred years for it to recover. 100 m deep Fjaðrárgljúfur canyon definitely is one of the best places to visit in Iceland! When it comes to landscapes, Iceland is certainly not a typical country. Around every corner, you can find something unreal and magical. Believe us that the local scenery sometimes surprises even those who were born on the island. If someone asked us which scenery to choose for a fairytale movie set, we would definitely recommend Fjaðrárgljúfur. 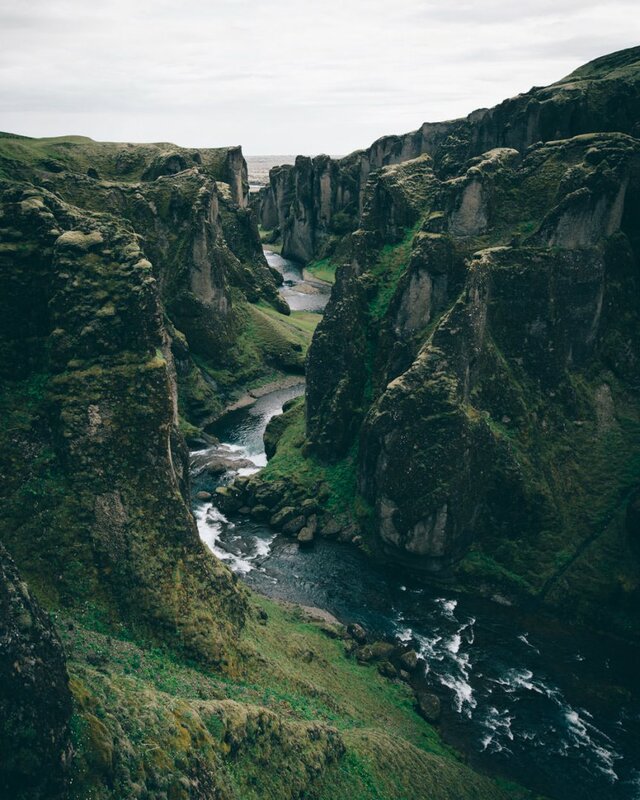 Fjaðrárgljúfur is an extraordinary canyon located in the south of Iceland next to the town of Kirkjubæjarklaustur. It stretches for two kilometres and is a hundred meters deep. Fjaðrá river which flows on the bottom gives it an incredible charm. Calm and quiet Reykjavik during the weekens copletely changes its face. Be prepared that Reykjavík can surprise you a lot. This quiet and rather inconspicuous city during the weekend nights completely changes its face. It turns into a party capital of Europe, so its reputation became once legendary. Icelanders are told to be rather introvert. Just visit Reykjavik during the weekend and you’ll probably change your opinion. When the evening comes just head to the pubs and cafés. Or even better – first meet some Icelanders and they will take you to the best places in town. In contrast to other cities, the best parties in Reykjavik usually take place in small cafés and pubs. At night the cafés often decorated in a delightful grandma’s style transform into vigorous party places. When the weekend begins, be sure that you are mentally prepared for a crazy time and try some delicious Icelandic beers or other regional specialities. You will often hear the phrase ‘skál!’ which in Icelandic means ‘cheers!’. Best of Iceland: Midnight Sun. After a long and dark winter everyone is waiting for Midnight Sun. What would you say about sightseeing or hiking in the middle of the night? Sounds strange? Not in Iceland. To experience the sun which never sets, awakens the imagination of many travellers. Technically speaking, Iceland is located below the Polar Circle, so the sun always sets here, but only for a short time. From mid-May until early August it’s bright all the time. For centuries everyone on the island with the same great pleasure celebrated this extraordinary time. The midnight sun fills the Icelanders’ hearts with great optimism. Finally, the nation can recharge the batteries for the much darker parts of the year. Bright nights give all the travellers a lot of comfort. You can hike in the mountains on and on without worrying about pitching a tent before it starts to get dark. You can easily set up the camp even after midnight. And the light is special during these nights. Just imagine that golden hour lasts for a few hours. All photographers will have a lot to do. When we arrived at Vestrahorn early morning in the beginning of November, the bay was frozen. 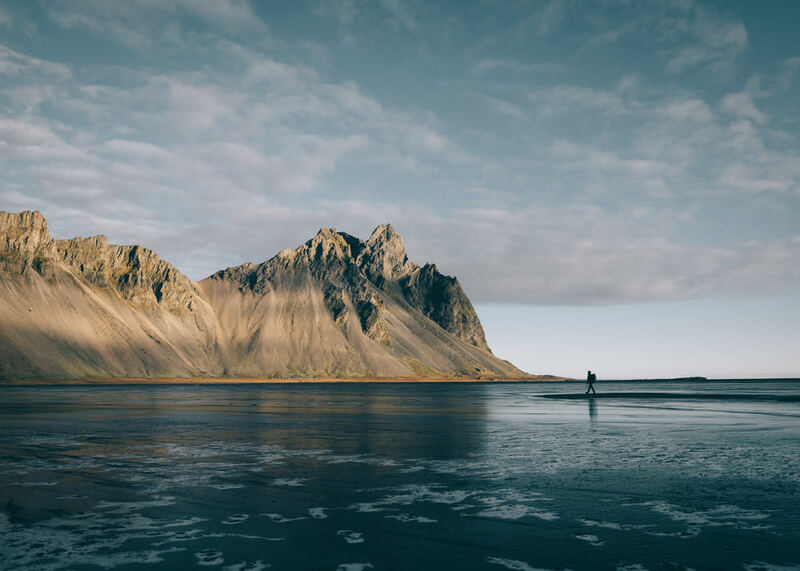 When you wander around Iceland’s south-eastern part near the town called Höfn, you can stumble upon an amazing mountain. That’s remarkable Vestrahorn, which is so characteristic that it can be recognized from a distance. Vestrahorn is made of gabbro rocks, a material rather rare in Iceland. It is majestic like many mountains in the area but at the same time different because of its unusual fraying. In addition, it is located next to a vast, black sand beach surrounded by grassy dunes. The first people who appreciated this place and decided to settle there were the Irish. However, they enjoyed these beautiful lands not for long. After some time they were attacked by the Vikings who willingly took over control over the area. Today you can see a reconstructed Viking settlement here. It was built a few years ago and functioned as a movie set. At dawn when the mountains shine in the warm soft light, they look unimaginably beautiful. When you are in the area be sure to set the alarm clocks at an early hour and hurry up to admire how the rising sun sculpts Vestrahorn’s side. That’s one of the best things to do in Iceland. Fishing town of Seyðisfjörður stole our hearts. If you are thinking about visiting a typical Scandinavian town with low, charming and colourful buildings you must necessarily visit Seyðisfjörður. This is definitely our favourite town on the island. In addition to a large number of delightful houses, it also delights with its location – it is located in the arms of a monumental fjord. Give some rest to your tired legs (you’ve been hiking, right?) and spend some time here. Go for a nice and not demanding stroll around and then relax in one of the cosy cafes. Just enjoy this special atmosphere. 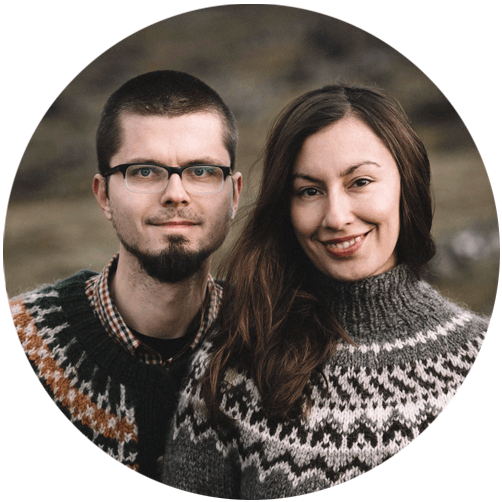 We can tell you that if we decide that we are moving to Iceland for good, we will probably settle down in Seyðisfjörður. Red sand beach astonishes with it colour and length. Rauðisandur is another treat for beach lovers and one of the best things to see in Iceland. It is located off the beaten track in the Westfjords. You will fall in love with it because it is very unusual for Icelandic conditions and exotic even for Icelanders. The inhabitants of the island are accustomed to black beaches and on Rauðisandur you can enjoy shades of red. In addition to the beautiful colour, the beach is almost endless, as it stretches for many kilometres. What’s more, you can have a pleasure of walk around with a view of steep mountains. As you probably guessed the shade of sand also depends on the light which falls on it. We also had that in mind and we decided to spend there the evening admiring the sun disappearing behind the horizon and giving it a purple glow. Best of Iceland: Goðafoss – waterfall of the gods. Let us introduce another of the amazing Icelandic waterfalls which you cannot pass by indifferently. Goðafoss can be found in northern Iceland, about forty kilometres from the city called Akureyri. Frankly speaking, Goðafoss awakens the warm feelings of everyone who chooses to visit this area. The waterfall allures with its big size, it is twelve meters high and thirty wide. It also surprises with its shape which reminds a horseshoe. This beautiful place is connected with an important moment in Iceland’s history. 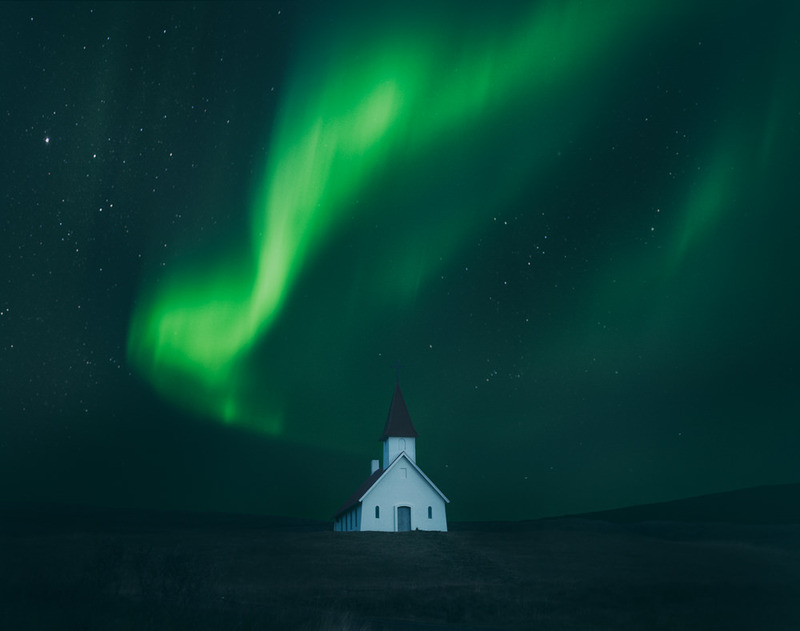 Around 1000 Iceland took up Christianity as their official religion here. 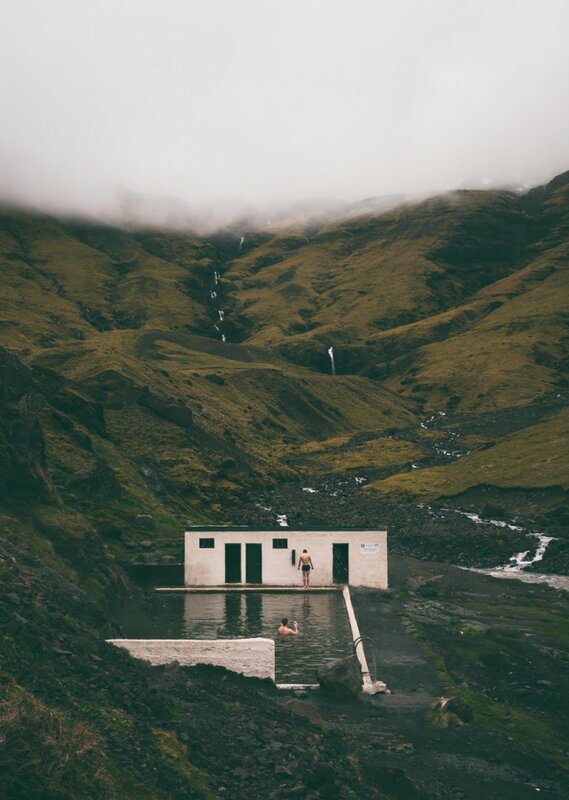 Hellulaug located in the Westfjords is our favourite hot spring in Iceland. 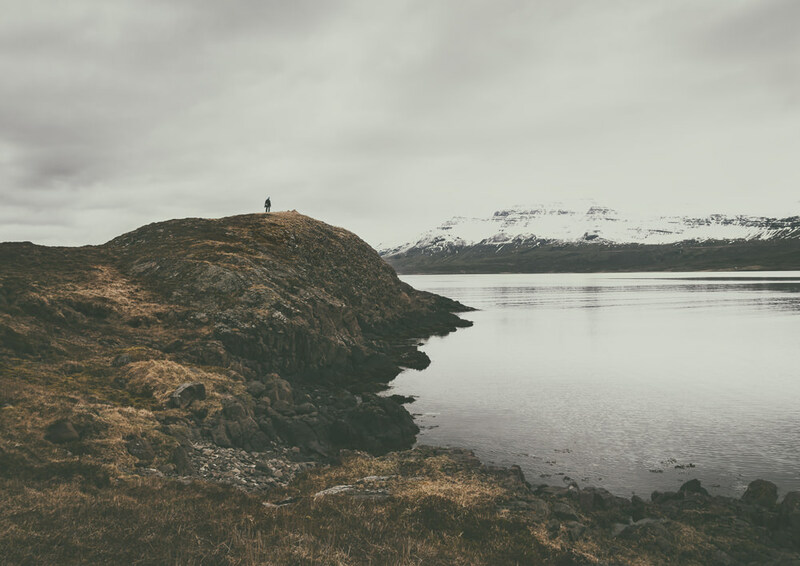 If you enjoy bathing in places with truly spectacular views be sure to take the challenge of playing detective in the Westfjords. On this amazing peninsula, there are lots of fantastically warm hot pools located in exciting spots. While visiting these areas you can meet other travellers who equipped with maps are on their search too. However, sometimes you will have these hot springs just for yourself. Relaxing moments in geothermal warm water are an excellent excuse for a break while sightseeing. But to be honest, they are one of the best Iceland tourist attractions themselves. Those who tried bathing in the hot springs of the Westfjords often say that it is the best spa in the world. We definitely agree. 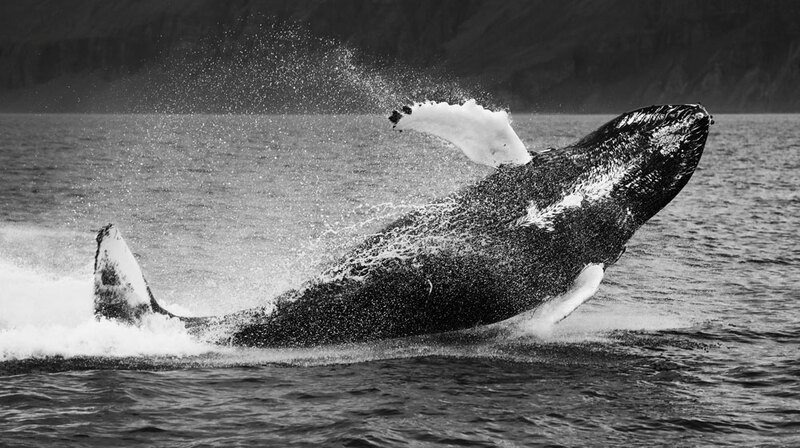 One of the best things to do in Iceland is whale watching. There are fourteen species of whales lurking in the depths of the ocean close to the Icelandic coastline. When you visit Iceland, you have a chance to see these fascinating mammals, the largest living animals in the world. 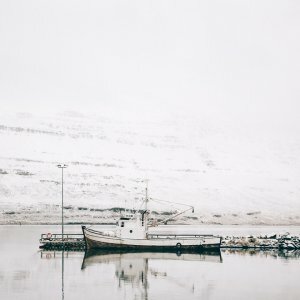 Húsavík, a small town in the north of Iceland, is a whale watching capital of Iceland. When you travel around Iceland, you definitely have to stop there. In the summer you have almost 100% chances of seeing a whale. You can also try whale watching in Reykjavik, but it’s not as good as in Húsavík. A cruise through the icy northern waters and spotting its enormous inhabitants is a fantastic adventure. Apart from whales, there is a high probability of encountering dolphins and orcas. On our whale watching tour, we saw a few whales (humpbacks) and a few dozen of dolphins. 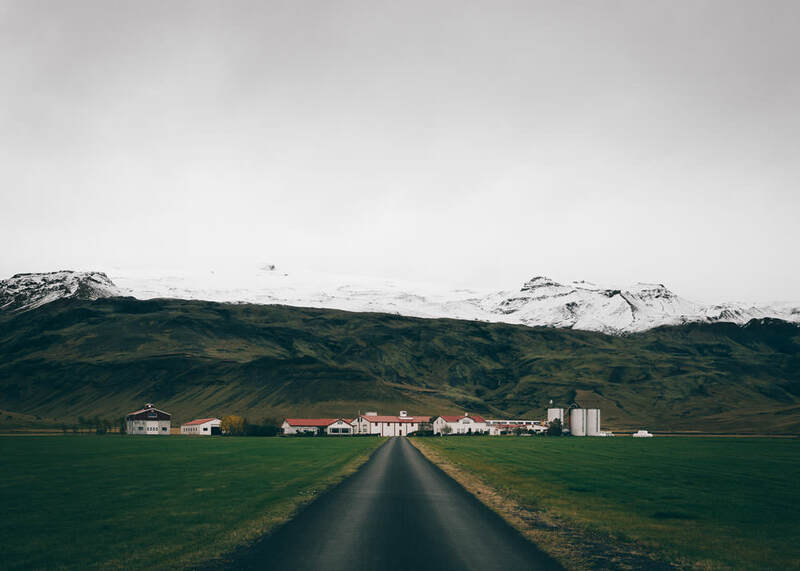 Thorvaldseyri farm – have you ever wondered how it is to have a powerful active volcano in your backyard? Did you know that there are over 120 volcanoes in Iceland? Fortunately, many of them are already retired and not active. There is also a big number of those who sleep well and will sleep for at least several centuries. Of course, there are also active ones that let us know of their presence even every few years. When you visit Iceland, be sure to find at least one of them. Just remember that volcanoes are not only Iceland top attractions, but also a real threat. It is amazing to see how Icelanders live with some volcanoes just in the neighbourhood. Some of them have the volcano literally at their fingertips, located in their backyard. That’s how it is with Þorvaldseyri (Thorvaldseyri) farm. The ominous Eyjafjallajökull volcano has kept an eye on the farm for decades. Eyjafjallajökull volcano is located in the south of the country. It became very famous all over the world. Everything because its memorable explosion which happened in 2010 and stopped the air traffic all over Europe for many days. When you travel in the south, you have a chance to see the volcano and the farm lying at its footstep. We haven’t seen Eyjafjallajökull eruption, but we know the whole story first hand. 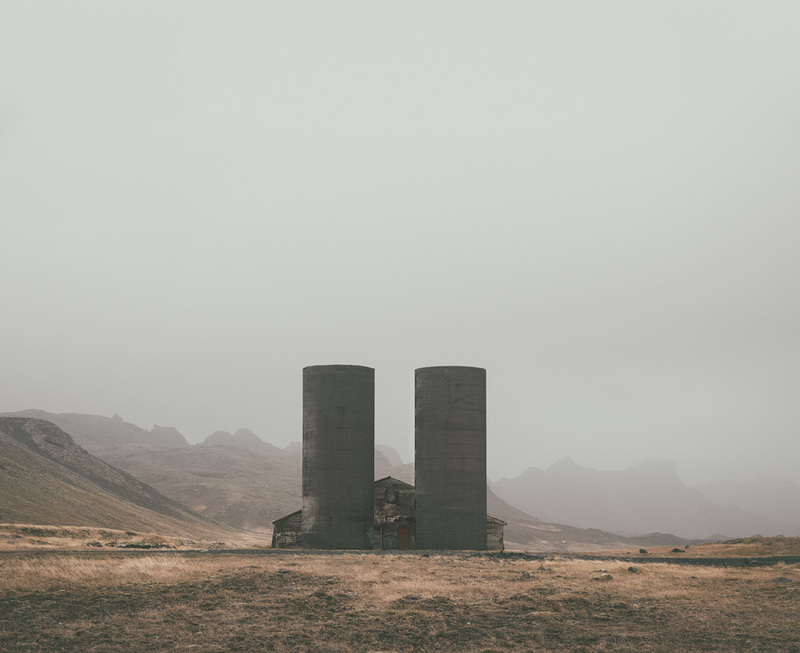 We spent six months with the people who went through the eruption at Þorvaldseyri. Kirkjufell – an iconic mountain. Kirkjufell belongs to the group of the most famous mountains in Iceland. You’ve probably had a chance to see it somewhere on the web already. Although there are plenty of magnificent mountains in Iceland, there is something very distinctive about Kirkjufell. Its shape is very special, resembling a tapered gothic cathedral. This fantastic mountain dominates over a small town of Grundarfjörður on Snæfellsnes peninsula. It is worth staying there for a longer time to see the mountain from a distance and then to walk around it. And yet there is a special treat for real mountain lovers. If you like challenges, there is also a possibility of climbing on top of it. Sheep know what’s good 🙂 Here, lying by the tongue of Vatnajökull glacier. Skaftafell is one of the most popular places among Icelanders and one of the best places to go in Iceland. They love to come here with their tent or camper for several days in the summer. Skaftafell is a mountain region which belongs to Vatnajökull National Park. There are lots of spectacular hiking trails with a view over the glacier. You definitely have to stop by here. There are so many activities that you can choose from in the area. If you love adventures, then try snowmobiling or hiking on the glacier. Have a look at the fairytale waterfall Svartifoss, go hiking in the mountains and wander through a landscape from another world. And in the winter there are ice caves, which are waiting to be discovered. 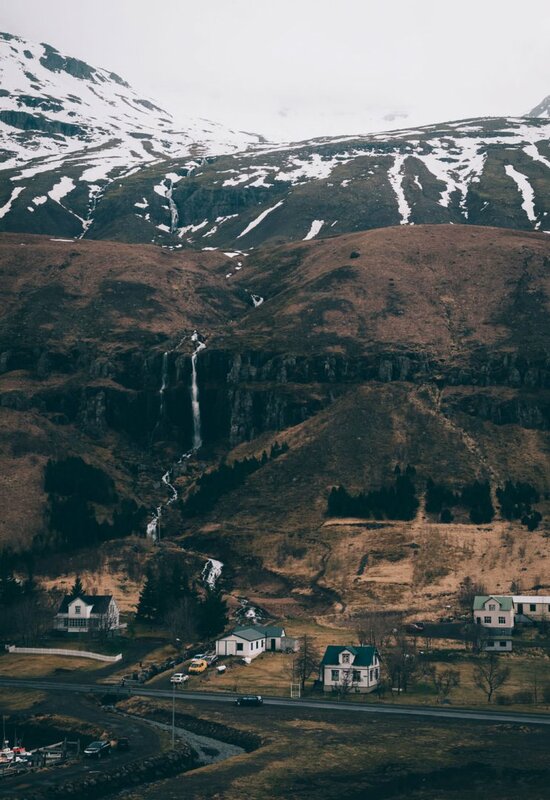 You can stay at a campsite located at the heart of Skaftafell, so you’ll have everything at your fingertips. 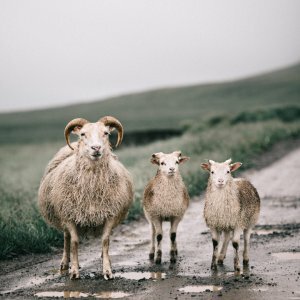 Icelandic lamb is one of the best in the world. Before you hit the road and come to Iceland, you should know about one very intriguing fact. 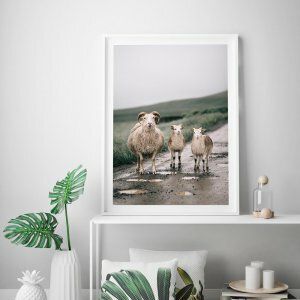 When you travel around Iceland in the summer, it is sometimes difficult to meet an Icelander, but you can for sure meet hundreds of sheep. Sheep are the most numerous inhabitants of the island. And what does it mean? Lamb is the most common Icelandic dish and at the same time favourite food of Icelanders. During your trip, you’ll have many chances to try it prepared in different ways – f. ex. roast lamb leg, grilled lamb or lamb soup. 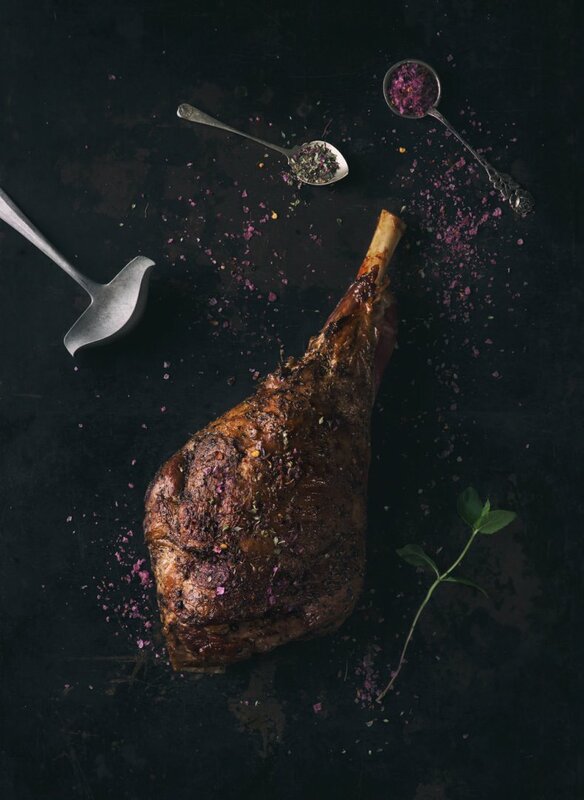 Icelandic lamb is considered as one of the best in the world. And that’s all because of the conditions in which the sheep grow up. They walk freely wherever they want, eat fresh grass, herbs and seaweed, and they don’t have to be afraid of any predators. If you do not lead a veggie life, a real feast awaits you. 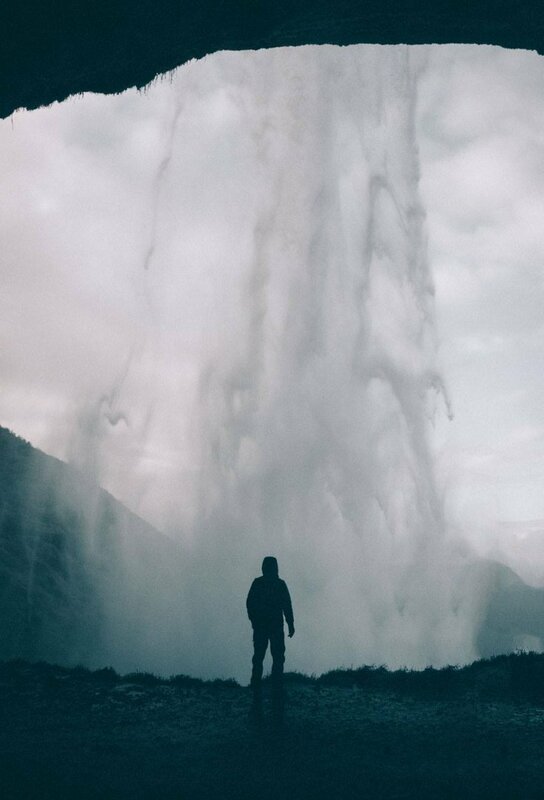 Standing next to a geyser – definitely one of the best things to do in Iceland. It is said that Iceland is a land of geysers but in fact, there are not too many of them. The best-known, the largest and also the most impressive is Strokkur. It belongs to the so-called Golden Circle. Golden Circle is formed out of three spectacular attractions located not far away from Reykjavik. Apart from the famous geyser, you can see Thingvellir and Gullfoss (check out the next points on our list). Strokkur has been alluring the crowds for years and it can be said that it is one of the most touristy places on the island. However, you cannot miss this important point while travelling in Iceland. To see with your own eyes nature’s power when a huge stream of hot water bursts into the air – priceless. One of the most exciting things to see in Iceland. Thingvellir – here inthe 10th century the first parliament gathering was held. Thingvellir, located about sixty kilometres east of Reykjavík, has quite a reputation. It is the place, where in 930 the first meeting of Icelandic parliament called Althing took place. It was also here where the independence of Iceland was proclaimed in 1944. No wonder that for Icelanders it is one of the most important places on the whole island. 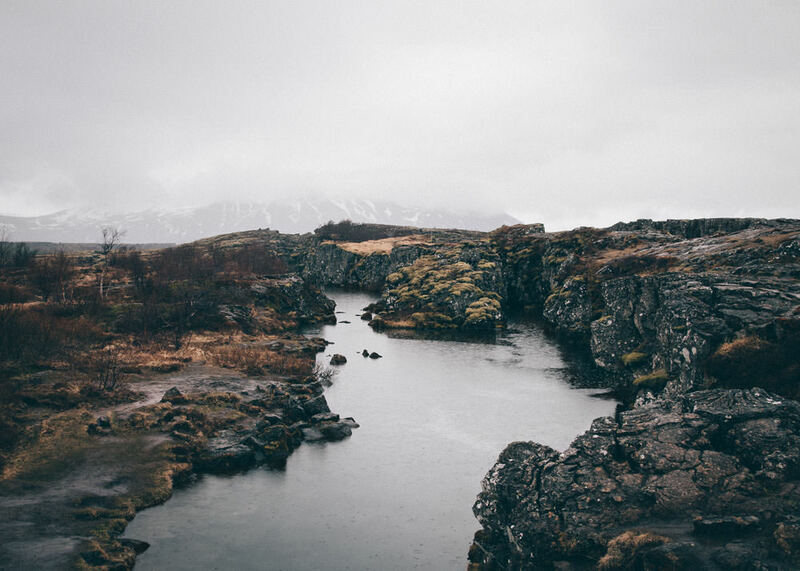 Apart from its historical significance, Thingvellir also is a feast for the eyes. We love to visit it in the autumn when little birches glitter with amazing colours. In addition, you will also find here the largest lake in Iceland, Þingvallavatn. In 1928 a national park was created here which was put on the UNESCO World Heritage List in 2004. 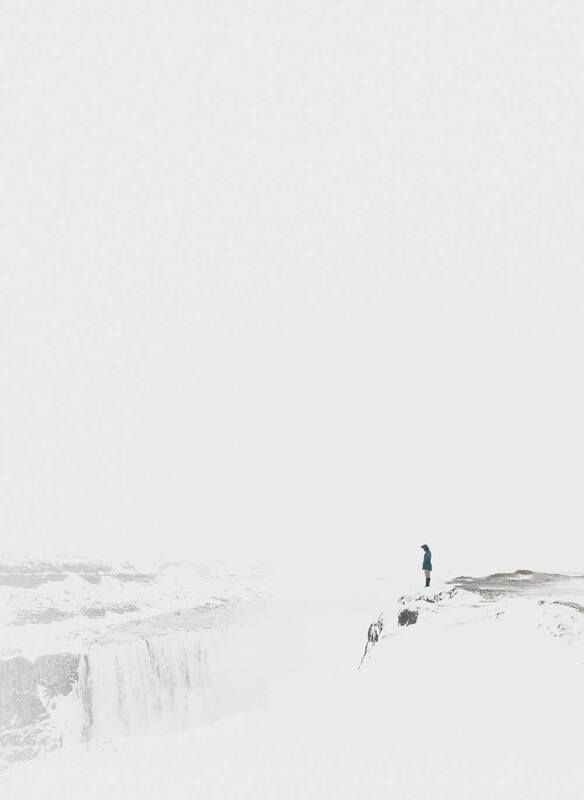 The star of the Golden Circle – Gullfoss waterfall. Gullfoss is a waterfall located in western Iceland. 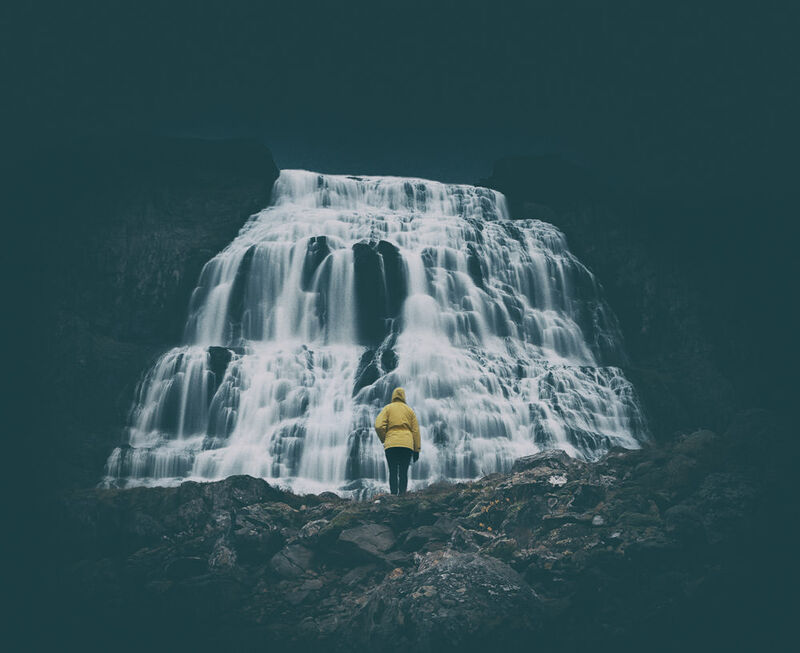 This is another confirmation that Iceland is a land of waterfalls and of course we talk about a group of totally unearthly waterfalls. Consisting of two enchanting cascades, Gullfoss can certainly be considered as the undisputed star of this part of the island. And one of the best places to visit in Iceland. As you can guess, it gained its honourable title and great fame thanks to two things. First of all, it captivates with its incredible beauty and, secondly, it dazzles with its scale. It is gigantic! Imagine that in every single second it pours almost 400 cubic meters. It is a quite a good score, don’t you think? There are plenty of observation points on site, so you can spend in this fantastic place a while. Just be prepared for the crowds. Everyone wants to see Gullfoss. If you want to see all the Golden Circle attractions on a one-day tour, then we know great guides. You can book the Golden Circle Tour here. We hope that our list will help you organize a perfect Icelandic adventure. Now we can only wish you a great trip! Have you been to Iceland? 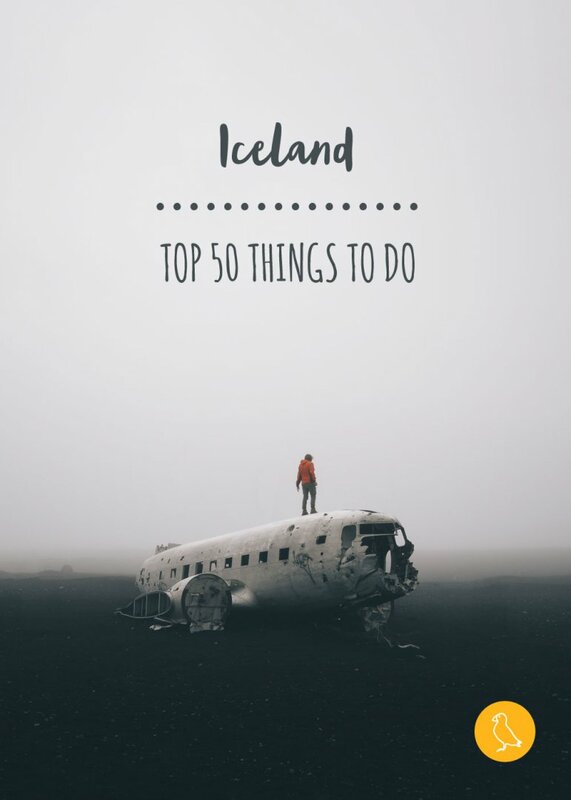 What would you add to our list of the best things to do in Iceland? Let us know in the comments. Thank you Sage! :) That’s right – Iceland is really popular now, but you can still find many places, where you can be on your own. Iceland is probably one of the most stunning countries in the world. Its landscapes are varied and so out of the world. The Northern Lights for me are of course the most fascinating of the natural phenomena to chase in the world. But there are so many other sights and experiences to savour beyond the Northern Lights in Ireland. You have given a wonderful list of sights and activities to do in Iceland. Thank you Sandy and Vyjay! Chasing the Northern Lights is one of our favourite passtimes here in Iceland. From the beginning of August we are waiting impatiently for the dark nights to come back. That’s the most beautiful fox I’ve ever seen.